Elsa H. Jones, Administrative Law Judge, Office of Administrative Hearings (OAH), heard this matter on November 10, 12, and 13, and December 3 and 4, 2008, in Downey, California. Student was represented by Bruce Bothwell, Attorney at Law. Student’s father (Father), and Student’s mother (Mother), (sometimes referred to herein as Parents), were present on all hearing days. Downey Unified School District (District) was represented by Eric Bathen, Attorney at Law, who was assisted by Marymichael Neushul. Nancy Matthews, District Special Education Program Administrator, attended all hearing days. Student’s Due Process Hearing Request (Complaint) was filed with OAH on July 11, 2008. OAH continued the matter on August 8, 2008, for good cause shown. Sworn testimony and documentary evidence were received at the hearing. At the conclusion of the hearing, the parties requested the opportunity to file written closing briefs by no later than 5:00 p.m. on December 23, 2008. The parties timely filed their written closing briefs on December 23, 2008, at which time the record was closed and the matter was submitted. E. The IEP did not provide appropriate speech and language (LAS) therapy. E. The IEP did not provide appropriate LAS therapy. 1. Student is a seven year old girl who is in second grade. She attends Rio Hondo Elementary School (Rio Hondo) in the District. She has resided in and attended school in the District continuously since preschool. Student was diagnosed with autism in 2004, when she was approximately three-and-one-half years old. At all relevant times, Student has been eligible for special education as a child with Autism. 2. District first assessed Student for special education in January 2005, when she was approximately 3 years and 7 months old. She was referred to the District’s Early Intervention Team for assessment due to parental concerns about delays in development of communication and social skills. At that time, the assessor was unable to formally assess Student’s cognitive functioning, because she was uncooperative. The assessor observed Student and conducted interviews with Parents. Among other things, the report noted Student’s self-stimulatory behaviors and her inability to attend. The assessor rated Student on the Southern California Developmental Scale of Cognition as functioning in the Sensorimotor stage, between 18 to 24 months old. Student achieved a score of 33 on the Childhood Autism Rating Scale (CARS), which placed her in the mild to moderately autistic range. Parents completed the Vineland Adaptive Behavior Scales Interview Edition. All domain scores fell in the moderately delayed range, with standard scores ranging from 54 to 57. 1 At the beginning of the hearing, the parties stipulated that District would reimburse Parents for one hour per week of LAS therapy that Student had received from More Than Words, a California certified NPA, from February 12, 2008, through November 10, 2008, and would pay for one hour per week of LAS therapy from More Than Words thereafter until Student’s next annual IEP. 2 Ms. Barrios received her B.A. in Behavioral Science in 2002 from National University. She received her Level I Credential, Education Specialist—Early Childhood Special Education in 2005 from California State University, Dominguez Hills. In 2007, she received her Clear Level II Credential, Education Specialist, Early Childhood Special Education from California State University, Los Angeles, and in 2008 she received her Certificate I Early Childhood Special Education Language and Literacy Project from the same institution. At the time of the hearing, she was completing fieldwork for an M.A. in Special Education with an emphasis in the Autism/Board Certified Behavior Analyst/Preparing Autism Spectrum Specialist Program, also from California State University, Los Angeles. She began her employment in the District in 1997 as a Senior Instructional Assistant/Behaviorally Challenged, and she served in that capacity until 2002. From 2002-2007 she was an Early Intervention Special Education Teacher with the District. She has been the District ABA Specialist from 2007 through the time of hearing. In all of these capacities, she has been involved in Discrete Trial Teaching programs, and she has utilized ABA strategies as an Early Intervention Special Education Teacher and the DistrictABA specialist. Since 1998, she has received training in Discrete Trial Teaching, ABA, and teaching children with autism. 3 This conclusion was disputed by Student at the hearing, and both parties presented evidence regarding Student’s cognitive abilities and how they should be measured. Neither party disputed that Student is able to learn and to make progress. Resolution of whether Student is mentally retarded, or is eligible for services as a student with mental retardation, is not necessary to resolve the issues in this case. 4 For ease of reference, this two-session IEP meeting will be referred to as the June 1, 2007, IEP meeting. 5 The report states that the dates of evaluation were “11/12/07 and 11/12/07.” It is unclear whether this is a typographical error, or whether Ms. Haddad conducted both sessions of the assessment on the same day. 6 Dr. Wallace’s report was received into evidence as administrative hearsay. 7 Dr. Wallace’s report identifies her as having a Ph.D. and as a BCBA. No party presented any other evidence as to Dr. Wallace’s qualifications. 8 Ms. King received her B.A. in Communicative Disorders from University of Redlands in 2006, and is expected to receive her M.A. in Communicative Disorders from California State University Long Beach in May 2009. She has been an SLP with the District from September 2006 through the present. She had experience treating children with autism, and has attended a two-day training in ABA. She is not a credentialed California SLP. She has a waiver from the state, since she is in the process of completing her M.A. She is supervised by a credentialed SLP. 9At hearing, Dr. Freeman clarified that the functional behavioral assessment to which she was referring was not the same as the functional analysis assessment described in California Code of Regulations, title 5, section 3052, subdivision (b). 11 All subsequent references to the Code of Federal Regulations are to the 2006 version, unless otherwise indicated. 12 Ms. Kastigar criticized the January 25, 2007, IEP for not including articulation goals and receptive language goals, and she also criticized the LAS goals in the June 1, 2007, IEP. Student’s Due Process Complaint did not allege that her LAS goals were deficient; only that Student’s IEPs did not provide a sufficient amount of individual LAS therapy. Accordingly, this Decision will not address the sufficiency of the LAS goals. 3. The speech pathologist (SLP) was also part of the assessment team. The SLP assessed Student’s Receptive and Expressive Language skills with the Preschool Language Scale-4 (PLS-4), and concluded that Student performed at the 1.8 age range. Student was functioning in the Sensorimotor stage of development based on the California Ordinal Scales. Overall, her social language skills were severely delayed. 4. As a result of this assessment, the District convened Student’s first IEP on February 15, 2005, when Student was three years and eight months old, and found her eligible for special education services. The IEP team placed Student in an Early Intervention Program at Alameda Elementary School (Alameda), in the District. Her teacher at that time was Paula Dodson. On September 27, 2005, at Ms. Dodson’s suggestion, the IEP team agreed that District would provide Student one-to-one ABA services, which commenced on October 3, 2005. 5. At an IEP meeting on March 7, 2006, the IEP team suggested that Student receive ABA services at home on Fridays, in place of Student attending school on Fridays. In September 2006, when Student was five years old and was enrolled in a kindergarten SDC at Alameda taught by Ms. Dodson, Student began to receive ABA services at home on Fridays. 6. In January 2007, Student was just over five-and-one-half years old and in kindergarten in Ms. Dodson’s SDC at Alameda. Ms. Dodson’s SDC typically had six to eight students, and was staffed with three aides. The aides were required to pass an ABA assessment, and were trained by Ms. Dodson and by Ms. Barrios, the teacher in charge of the District’s ABA program. 2 Ms. Dodson used some ABA strategies in the SDC classroom, but she also used other methodologies. Ms. Dodson has been an Early Intervention Specialist Teacher with the District since 2002. As such, her duties included collaborating with the ABA supervisor to insure a cohesive program between her class and the District’s ABA program. She obtained a B.A. from National University in Interdisciplinary Studies. In 2005, she obtain her Level I Credential, Education Specialist—Early Childhood Education from California State University-Dominguez Hills, and in 2007 she received her Level II Credential, Education Specialist—Early Childhood Special Education from the same institution. At the time of the hearing, she was one class from obtaining her M.A. in Early Childhood Special Education, also from California State University, Dominguez Hills, and was completing an additional credential in Mild/Moderate education. From 1999-2002, she worked for the District as a Senior Instructional Assistant/Behaviorally Challenged, which included implementing Discrete Trial Teaching both in school and at home, under the direction and supervision of an agency by the name of Autism Partnership. 7. District convened an annual IEP meeting on January 25, 2007. Father, Mother, Ms. Dodson, Ms. Barrios, April Duval (Student’s speech and language pathologist (SLP)), an adaptive physical education (APE) teacher, an occupational therapist, Nancy Matthews (a District administrator), and a general education teacher were among those who attended the meeting. 8. The IEP team noted that Student was a visual and auditory learner, with strength in visual learning. The team recorded Student’s present levels of performance. Her Preacademic/Academic functional skills included mastering the alphabet and her numbers up to 26. She could sort by size, shape, and color, could identify big and little, could answer simple questions with visual support, could imitate sounds, actions, and pre-built structures, and could complete inset puzzles. Her cognitive skills were in the sensorimotor stage of development and her adaptive skills were in the moderately delayed range. The SLP reported that Student had made much progress, although she had not met all of her goals. She had disorders in expressive and receptive language. Her pragmatics and interest in communicating with peers and teachers had improved. Whereas in the previous year she showed no interest in toys or people, she now oriented toward a speaker, played with toys, and interacted with friends. The team discussed LAS services, which were provided in the SDC classroom. District offered to continue services at 4 times per week, 15 minutes per session, with the SLP and an assistant, until the end of March, 2007. In April, once Student learned new skills, LAS services would increase to 4 times a week, 20 minutes per session, with other classroom staff interacting with Student, so that she could generalize her learning. With respect to Motor Development, the team noted that Student continue to have delayed fine and gross motor skills. She held a crayon with a gross palmer grasp, but was able to maintain a tripod grasp when corrected. Her delayed motor planning skills affected her coordination in participating in gross motor activities. With respect to her Social/Emotional development, Ms. Dodson reported that Student had begun to develop relationships with her peers, and was willing to share and take turns. She interacted with her peers in structured settings, and showed her emotions appropriately. The team recorded that, except for allergies, Student had no known health problems. With respect to her Pre-Vocational/Vocational skills, she could follow the classroom routine, could complete tasks independently, could follow a visual schedule, and could sort and complete a closed-ended task. The team noted that she required assistance in most areas of self-help. She would ask for food, drinks, and to wash her hands, and she required assistance with those tasks. She was not toilet-trained. 9. The team noted Parents’ concern that Student was not making sufficient progress to access her educational program, and their concerns about her communication development and oral-sensory issues. Parents hoped that Student could attend a general education program in the future. Parents presented the team information about other educational methodologies, and requested in-home support. The team did not agree with Parents’ suggestions with respect to other methodologies, or in-home support. 10. Ms. Barrios presented her January 22, 2007, report to the team. Her report contained the following ABA Program Goals: (1) Functional Learning, to increase attending, eye contact, develop an awareness of the environment, increase duration of on-task behavior, establish instructional control, facilitate a positive relationship between student and teacher, reduce self-stimulatory behavior, and develop learning readiness skills; (2) Communication Objective, to provide Student with a means to communicate her desires, a means to interact, to provide a foundation for expanding her language and communication skills, and to increase her motivation to communicate with others; (3) Play and Socialization Objective, to develop skills to allow increased independence, appropriate use of materials, replacement behaviors for self-stimulation, increase attention, develop age-appropriate interests, provide a means for social interactions and integration with peers, and improve quality of life; and (4) Self-Help Objective, to increase Student’s independence in daily living skills, develop age-appropriate functioning, and facilitate social integration. The report stated Student’s present levels in the 11 curriculum areas related to the objectives, and reflected the phases of the curriculum areas that Student had mastered. 11. The team noted that Student’s autism affected her progress and participation in the general education curriculum, in that progress toward grade level expectancies may be limited due to communication deficits along with social impairments, limited interests, and stereotypic behaviors. Specifically, the team noted that Student had challenges in the areas of Academic, Fine-Motor, Communication, and Socialization. 12. The team noted Student’s progress toward her goals. Student had partially met three of her goals and had met two goals, including a social skills goal. The team set new goals, each of which was accompanied by several benchmarks. The staff providing ABA services to Student were not designated in the IEP as responsible for implementing the goals, but, in practice, they were so responsible, along with the teachers designated in the IEP. Two new goals were set in the area of Social/Emotional skills. One of the goals involved Student learning to recognize and name half of her peers and her teacher a specified percentage of the time as measured by teacher-devised test. The second goal required Student to comply with a request to play with a peer, and participate for five minutes with adult supervision, a specified percentage of the time, as measured by data collection. The team set three Pre-Academic/Academic goals. The first goal required Student to read 25 words including 8 primary color words a specified percentage of the time, as measured by teacher-devised test. The second goal involved Student using the words “yes” and “no” appropriately when asked a question, a specified percentage of the time, as measured by data collection. The third goal involved Student matching quantity to correct number up to 20, a specified percentage of the time, as measured by teacher-devised test. The team set a Self-Help goal in the area of toilet training, which required Student to use the restroom once every hour, using cue cards and completing all tasks independently as measured by data collection. 13. The team set two Language/Communication goals. The first required Student to turn her head and trunk towards the listener when making a request. It also required her to use a communication book such that, when shown two items varying by one attribute, such as size, shape, or color, Student would construct and exchange a sentence strip using an attribute icon in the correct sequence and verbalize the words for the icons. Then she would obey the command to take the item. She was to perform this task a specified percentage of the time, as measured by observation and data notes. The second speech goal also involved Student using a communication book. Upon being randomly asked, “What do you see?” “What is it?” and “What do you want?”, Student would answer using the correct sentence stem, as measured by observation and data notes, achieving a specified percentage of success for each question without prompting across two consecutive speech sessions. Goals were updated in the area of occupational therapy (OT). The team noted that behavioral goals and objectives were incorporated in the IEP, and that Student required assistive technology in the form of a picture communications system. The team also agreed that Student be provided supplemental aids and services, specifically listing visual supports, a handi-writer, and modified scissors. 14. District offered placement in an SDC for 200 minutes, 4 days a week, at Alameda, until July 26, 2007. The team agreed to keep Student’s one-to-one ABA services at the same level as previously, until June 21, 2007. Thus, at school, she would receive two hours, 20 minutes four days per week of one-to-one ABA services, and at home she would receive 2 hours, 20 minutes of one-to-one ABA services one day per week, for a total of 11 hours and 40 minutes of one-to-one ABA services. The IEP also provided for LAS 15 minutes, 4 times per week until March 31, 2007, (without specifying whether individual or small group) and then 20 minutes, 4 times per week in small group, until January 25, 2008. The IEP also specified OT services. Parents approved the classroom goals and the ABA services and goals. They did not agree to the OT and LAS goals and services at the IEP meeting. 15. District convened an addendum IEP meeting on March 1, 2007, to discuss Parents’ concerns regarding Student’s program. The IEP team included Parents, Ms. Dodson, an SLP, an occupational therapist, an APE teacher, Ms. Barrios and Ms. Matthews (the District administrator). The team confirmed that Student received one-to-one ABA services for 2 hours, and 20 minutes, five days per week, four days in school and one day at home. Additionally, she received 200 minutes of a structured classroom setting 4 days per week. The team discussed how Student’s progress was reported to parents. Parents expressed concerns that, at home, Student was having difficulty focusing on a task. The team discussed strategies for gaining Student’s attention, and noted that, at school, Student had increased her eye contact and awareness of her peers. 16. District offered an early triennial assessment in the areas of speech, OT, and cognitive development. District agreed to provide an assessment plan to parents by March 27, 2007. The team discussed assisting Parents in implementing a picture communication system and visual supports in the home. Parents agreed to the LAS and OT services and goals which were included in the January 25, 2007, IEP. 17. By letter dated March 12, 2007, and delivered to the District, Parents confirmed that District had agreed to convene another IEP meeting on March 20, 2007. In the letter, Parents requested that the triennial assessment occur immediately, and requested that the District provide an additional 20 hours of one-to-one ABA therapy directly supervised by Ms. Barrios. 18. On March 20, 2007, the District convened another addendum IEP meeting. The meeting was attended by Parents, Ms. Dodson, Ms. Barrios, Ms. Matthews, and a District representative. The purpose of the meeting was to discuss Parents’ concerns regarding how Student could achieve at grade level with her same-age peers and how long it would take to achieve that target. The classroom staff explained that they were focusing on improving Student’s skills and they could not predict when she would be at grade level. District agreed to send an assessment plan for the early triennial assessment to Parents within 15 days of the meeting. District felt that Student’s current program offered a FAPE, however, it offered a school and in-home program of 30-hours, with 13 hours of structured SDC class time and 17 hours of one-to-one ABA divided between school and home settings. Parents proposed a different schedule, with a total of 29 hours and 45 minutes per week, divided between school and home settings. The team agreed to the Parents’ proposed schedule. 19. In April and May, 2007, the District conducted a psychoeducational evaluation of Student. The assessment team consisted of Leticia Villalva, the school psychologist; April Duval, the SLP; and an occupational therapist. Ms. Villalva received a B.A. in Psychology from University of California, Riverside, an M.A. in Psychology from California State University, Los Angeles, and an M.S. in Counseling from the same institution. She has a Pupil Personnel Services Credential, and a Multiple Subject Teaching Credential. From 1997 to 2001 she was a teacher in the Los Angeles Unified School District. In 2001-2002 she taught first grade in the District. From 2003-2004, she served as an SDC teacher in the District, and taught children with a variety of disabilities, including autism and mental retardation. She has been employed by the District as a school psychologist since 2003. 20. The team generated a report dated May 29, 2007. The report related Parents’ concerns that Student’s developmental milestones were delayed, and summarized information from Parent interviews. At the time of the assessment, Student was unable to ride a tricycle, due to difficulties with motor planning. She was still in the process of being toilet-trained, and wore diapers and pull-ups. She did not speak in phrases until she was approximately four-and-one-half years old. She could point when prompted, and she tried to use words. Parents reported that the intelligibility of Student’s speech was limited, and she had a limited vocabulary. Parents reported that Student had trouble sleeping since 2005. 21. Ms. Villalva administered the Leiter International Performance Scale-Revised (Leiter-R), which is a nonverbal/non-timed test of intelligence designed for those between the ages of 2 and 20 years. She chose this assessment because Student was functionally non-verbal. It was administered under conditions in which Student could do her best. The subtest scores reflected that Student could not solve novel problems not tied to knowledge obtained in school or from the culture, and that Student had difficulty with tasks pertaining to sequencing and replicating patterns. 22. Ms. Villalva also investigated Student’s academic readiness, by interviewing Student’s classroom teacher. According to the teacher, Student had one-to-one correspondence to the number nine. She knew basic colors, shapes, and letters, and knew the letter to sound relationship. She had no phonemic awareness or sight word recognition. She had an appropriate attention span and used visual strips to retell stories, but she required many modes and trials to learn the task. She could track along with a book as it was being read to her. She could do some category sorting. She knew basic body parts when asked, and could point to them. Student was familiar with class routines and could transition with and without the use of visuals. She could follow two-step directions within a familiar context. She could state her first name, but she knew no further personal information, and she did not know her age or gender. She knew her teachers’ names, but not the name of her school. 23. Ms. Villalva assessed Student’s Adaptive Behavior Functioning by administering the Vineland Adaptive Behavior Scales—II: Teacher Rating Form and Parent Survey Interview Report. Ms. Dodson rated Student’s overall adaptive behavior functioning as “Low” in the areas of Communication, Daily Living Skills, Socialization, and Motor Skills. Consistent with Ms. Dodson, Parent rated Student’s overall adaptive behavior as “Low” in the areas of Communication, Daily Living Skills, and Socialization. The report noted that all of the tests used by Ms. Villalva were valid and appropriate and were an accurate measure when used. They had been validated for the specific purpose for which they were used and the test results were valid. 24. The report described a Speech and Language Assessment performed by District SLP April Duval on April 25-26, May 7, May 9, May 14, May 16, and May 21. As part of her assessment, Ms. Duval reviewed the District’s initial speech and language assessment from January 2005. Ms. Duval noted that, since Student’s initial assessment, Student’s communication skills had been addressed by the classroom teacher, classroom staff, and SLP working together. Since her initial evaluation, Student had acquired numerous skills. Ms. Duval noted that the SLP and classroom teacher had trained the classroom aides to work with Student on her IEP objectives. 25. The report noted that during speech sessions and classroom activities during the assessment period, Student engaged in frequent self-stimulatory behaviors. She swung her head and shoulder from side to side as if dancing, muttered under her breath, and made sheep-like noises. The report noted that these behaviors did not seem to interfere with Student’s learning, as she responded to natural cues in the environment to stop these types of behaviors and to engage in appropriate behaviors. The report noted that when adults have gained Student’s attention, she attended, and waiting to fully gain her attention greatly increased her accuracy across all tasks. She did not attempt to leave her seat at inappropriate times, and she would continue working even though she was very tired or frustrated. During the formal language testing, on two occasions, Student cried silently while continuing to work, and did not ask for a break. She understood the token reward system. 27. In the areas of syntax and morphology, Ms. Duval concluded that Student had increased her grammatical complexity since the initial assessment. When initially assessed, Student did not typically use words to make requests, except for occasional one-word requests, although she had a vocabulary of about 10 words. Further, she used her picture communication book to make and respond to requests in the classroom. She also used her picture communication book to respond to various questions using the correct sentence stem. Student was also using several verbs expressively without the aid of communication book, and could identify more than 20 verbs. She appeared to display limited variety in syntax compared to her same-age peers. However, Ms. Duvall concluded that Student’s syntax and morphology were generally correct and appeared to be adequate to meet her current communicative needs. 28. Ms. Duval assessed Student’s Semantics using the Expressive One-Word Picture Vocabulary Test (EOWPVT) and the Receptive One-Word Picture Vocabulary Test (ROWVPT). Student achieved a standard score of 66, corresponding to the 1st percentile rank, on the EOWVPT, and a Standard Score of 75, corresponding to the percentile rank of 5, on the ROWVPT. Ms. Duvall concluded that Student’s receptive and expressive vocabulary appeared to be below normal limits for her chronological age. 29. Ms. Duval reported on informal observations of Student, noting that Student understood and used functional vocabulary, including nouns, verbs, and descriptors in the school environment. She concluded that Student’s vocabulary appeared to be adequate for her current communication needs. Ms. Duvall also concluded that Student understood non-literal language, in that she appeared to understand visual jokes or things that occurred outside of the routine. 30. Ms. Duval assessed Student’s pragmatic language skills by observing her in the classroom and on the playground during recess. In the area of Communication Functions (Intent), Ms. Duvall observed that Student initiated greetings with familiar adults, and responded after the adult initiated the greeting. She oriented her body toward the speaker, made eye contact, and said “Hi (name).” She could respond to a variety of greetings from familiar adults, regardless of whether her name was used in the greeting, and her skill at doing so had improved since spring 2005. She also responded to partings without verbal prompting. Student took conversational turns in simple turn-taking “games.” She enjoyed doing simple actions and then asking a familiar adult to complete the action. Ms. Duvall observed Student participating in many short, spontaneous, turn-taking games with her aides and teachers. 31. With respect to Affect, Ms. Duval reported that Student enjoyed verbal praise, particularly when it was exaggerated. She had not been observed at school to notice more subtle facial expressions. 32. With respect to the area of Communicative Report, Student would continue to restate a request, using the person’s name, when the person did not acknowledge Student’s request. She would walk to the person, lightly touch her arm, and push the communication strip from the picture exchange book into the hand of the other person. Parents reported that Student acted similarly at home. She was beginning to pull with inappropriate force on Parents’ clothing to gain their attention, and the class teacher and SLP had discussed with Parents the use of hand-over-hand prompting to help Student use socially appropriate touch to gain Parents’ attention. 33. Student enjoyed playing on the swings, and requested that the aides push her on the swings. She played near other students, and she took turns using the same toy with peers without adult prompting or assistance. She could play structured games in the classroom with peers with adult supervision. She had functional play routines, and also engaged in early symbolic play. She linked toys to action. She looked from her toys to adults who were playing with her. 34. Student had some self-help skills. She fed herself with a spoon and fork, without monitoring or correcting, at an appropriate pace. In the past, she had searched for food in the classroom, but the classroom teacher had developed a successful intervention to address that behavior. Student was not toilet-trained, but she participated in the toilet routine at school. She followed the end-of-recess routine without prompting. She followed the classroom routine to switch tables during center time. 35. Ms. Duval assessed phonology informally, and reported that Student produced all sounds correctly when making requests or comments. She noted that Student’s vocal pitch was appropriate but should be monitored, and that her voice quality was not deficient. She did not have fluency difficulties. Ms. Duvall did not believe that a formal oral mechanism examination was warranted. She noted that Student’s articulation was accurate during therapy activities, and that Student could imitate all speech sounds in words. Consequently, Ms. Duvall concluded that the functional and structural integrity of her oral structures appeared to be adequate. A records review did not reveal that Student had swallowing difficulties. 37. The report concluded with a variety of recommendations, including referring to the IEP team for placement in the LRE; focusing on self-help skills; focusing on life skills to help Student participate in the community; continuing to develop communication, attention, social, and play skills; that Student wear an identification bracelet at all times; monitoring Student’s pitch, continuing language services in pragmatics, syntax, and semantics; discussing updating language and social goals, and writing a goal to address asking for a break when Student felt frustrated or tired. 38. In April and May 2007, Ms. Barrios assessed Student with respect to Student’s ABA curriculum. Ms. Barrios observed Student during the ABA one-to-one program, during in-home sessions, and in her early intervention kindergarten classroom. Ms. Barrios also obtained information from Ms. Dodson during the assessment. 39. Ms. Barrios reported on Student’s current status and the particular skills she was working on in the following domains or areas: Behavior, Non-Verbal Imitation, Materials Imitation, Matching, Drawing, Play, Receptive Instructions, Receptive Labels, Expressive Labels, Basic Conversational Skills, Yes/No, Joint Attending, Social Awareness, Quantitative Concepts, Reading, and Self-Help. The report described Student’s program in the following areas: Play, Pre-Academic, Self-Help, Behavioral, and Communication. The report contained data collected from April 30, 2007, to May 9, 2007, regarding Student’s self-stimulatory behaviors, as well as a table indicating the percentage success rate of Student in various behaviors. 40. Ms. Barrios reported that Student exhibited tantrums consisting of crying, and/or dropping to the floor, and/or bouncing up and down in her chair. In the past, she would hit herself in the head, but this had not occurred recently. Student did not exhibit aggressive behavior at school. She exhibited self-stimulatory behaviors, including swaying her head and shoulders, mouthing words or singing quietly, smiling and laughing inappropriately, staring “through” the teacher or looking at nothing, making sheep-noises, or talking in a shaky voice. At home, she repeatedly called for mom. The self-stimulatory behaviors recently increased at school, and Ms. Barrios was collecting baseline data to determine an intervention. Ms. Barrios noted that Student’s ability to self-regulate her behavior had recently improved. 42. In the areas of Play and Social Awareness, Student had demonstrated some progress, in that she was learning to take turns and was beginning to play interactively with peers. Student was working on initiating an interaction with a peer. 43. In the area of Self-Help, Ms. Barrios reported that Student could feed herself with utensils, and drink from a cup and a straw. She was not toilet-trained, although she participated in her diaper-changing routine. She was currently working on cleaning-up after snack and completing the bathroom routine. 44. On June 1, 2007, when Student was completing kindergarten and was almost six years old, District convened Student’s triennial IEP meeting. The IEP team included Parents, Linhua Chen (who would become Student’s SDC teacher during the 2007-2008 school year), Ms. Duval (the SLP); Ms. Barrios, Ms. Matthews (the District administrator), Ms. Dodson; Ms. Villalva, an occupational therapist, and the APE teacher. The meeting was not completed on June 1, and was therefore continued to and completed on June 20, 2007. 4 The IEP team on June 20, 2001 included the same individuals who were present on June 1, 2007, except for Ms. Chen and the APE teacher, and also included a family mentor and an audiologist. 45. The team noted that Student continued to demonstrate characteristics that were typical of autism: delayed speech and language, delayed socialization, self-stimulatory behaviors, and a need for routine. The team noted that Student was a visual and kinesthetic learner, and that she learned best in small group settings. Parents questioned whether strangers could understand Student’s speech, and the team agreed that Student’s speech was much more comprehensible when Student used her visual communication system. In the area of Pre-Academic/Academic/Functional skills, the team noted that Student had learned to read many high frequency words, she could sort by size, shape and color, and could identify big and little. She could answer simple “who” questions with visual support, and could imitate sounds, actions, and pre-built structures. She could complete inset puzzles. She continued to struggle with writing her name and numbers, and was working on mastering quantity concepts. With respect to Communication Development, the team noted that Student’s vocabulary, grammar, and pragmatics were below expected levels for her chronological age. She engaged in unprompted functional parallel play and used turn-taking phrases with peers. She used simple phrases to request items and actions. In the area of Motor Development, Student continued to show delays with her fine and gross motor skills. She utilized an adapted handi-writer to maintain a tripod grasp. She could imitate line and circles, and was learning how to trace her name. She could cut with adapted scissors in a forward direction. She continued to demonstrate delayed gross motor skills due to difficulty with motor planning. In the Social/Emotional area, Student had begun to develop relationships with her peers. She was playing with them in group settings, with adult support. She would ask for a turn, and could count to 10. She was beginning to address her teachers by name to gain their attention. 46. Under Pre-Vocational/Vocational Skills, the team noted that Student could follow the classroom routine and could complete tasks independently. She would follow a visual schedule, and could sort and complete closed-ended tasks. She could work independently for a period of five minutes. The team noted that Student required assistance in most areas of Self-Help. She was not toilet trained. She would ask for food, drinks, and to wash her hands, but would require some assistance with these tasks. 47. Ms. Villalva reported on the psychoeducational assessment. She reported that all developmental milestones were delayed, that toilet-training was in progress, and that Student had difficult sequencing objects in size and following two-step visual patterns. Matching by color and shapes was very easy for Student, and she did better when items were presented one at a time. 48. Ms. Duval, the SLP, reported on Student’s assessment results, and that Student had made progress on her previous speech goals. She reported that Student was typically using words to communicate. She said “hi” to classroom staff, and was beginning to say the names of other pupils. She followed directions with color words but not with number words or size words. She named all of the expressive target noun words on the test. She was not yet asking questions or answering “what” or “where” questions. Receptive and expressive vocabulary was below age level. She was starting to laugh appropriately at visual jokes. Parents reported that she tended to use inappropriate laughter as an apparent form of self-stimulation. Student verbally requested items and “help” and would engage in short spontaneous games. She enjoyed verbal praise. She would silently cry when frustrated, but did not request breaks. She could produce all of the speech sounds correctly, but the parents reported that Student was frequently unintelligible at home. The SLP reported that this disparity could be due to the cognitive load being “higher” when she had to think of the word and say it. It could also be due to fatigue. The team developed LAS goals and objectives in the areas of expressive language and language concepts, as well as a goal to teach Student to request a break. The team noted that Student would receive individual LAS therapy to learn new skills and would also receive therapy in a small group of two to three students to practice the skills she had learned. 49. The team reconvened on June 20, 2007. The SLP, after a conference with Mother, presented new and revised speech and language goals. The parents approved the goals, but questioned the proposed service program of 20 minutes, four times per week, in the classroom. The team decided to specify that services would be provided 50 minutes per week of individual therapy and 50 minutes per week of small group therapy. Ms. Barrios, the ABA specialist, reported that Student’s ability to manage herself in a controlled environment had improved. She had reduced her self-stimulatory behaviors significantly and she responded to cues to redirect herself. Ms. Barrios did not believe that behavior interventions were needed to reduce self-stimulatory behaviors. 50. At Parents’ request, District agreed that missed ABA sessions could be made up during the summer. Parents requested an independent educational evaluation (IEE) because they disagreed with the cognitive portion of the District’s psychoeducational evaluation. The District’s program administrator stated that District would respond to the request for an IEE before July 13, 2007. Ultimately the District funded an IEE by B.J. Freeman, Ph.D., which is described below. 51. The team noted that Student’s autism affected her auditory comprehension, academic, self help, socialization, and fine motor skills, and drafted goals to address these areas. The team set several Language/Communication goals. One goal required Student to discriminate various “wh” questions on the first attempt utilizing visual strategies as measured by teacher-devised testing, achieving a specified percentage of success. Another goal required Student to greet three of her peers upon entering a room, with only visual prompts as measured by data collection achieving a specified rate of success. This goal was a more sophisticated version of a Social/Emotional goal from the January 25, 2007, IEP. Another goal, which was a more sophisticated version of a goal in the January 25, 2007, IEP, required Student, in a classroom setting, to turn her head and trunk towards the listener when making a request. The goal also required Student to use a communication book, and, when shown two items varying by one attribute (big/small, shape, color, texture, wet/dry, short/long, fast/slow, loud/soft), she would construct and exchange a sentence strip using an attribute icon in correct sequence and verbalize the words for the icon. Then, when told, she would take the corresponding item. This goal specified a success rate, as measured by observation and data notes. Another Language/Communication goal required Student, given access to a communication book, to answer random questions using the correct sentence stem, as measured by observation and data notes, achieving a specified rate of success. This goal was similar to, but more sophisticated than, the Language/Communication goal that was set in the January 25, 2007, IEP, as it used additional question forms and sentence stems. Another Language/Communication goal was designed to teach Student to construct the sentience “I want break” using her communication book in a stressful situation, with a specified success rate as measured by observation and data notes. Another Language/Communication goal required Student to answer questions about familiar people, objects, and actions in the classroom environment and routine by choosing the correct pictorial representation from a communication board and verbalizing the message, with a specified success rate as measured by observation and data notes. Another Language/Communication goal involved Student’s interacting with a peer by verbalizing simple social phrases with or without her communication book, with a specified success rate as measured by observation and data notes. The team also set five goals in the area of OT and two goals in the area of APE. 52. The team set several Pre-Academic/Academic goals. One goal required Student to match and count up to 20 using manipulatives, with a specified success rate as measured by a teacher-made test. This was a more advanced goal than the goal set in the January 25, 2007, IEP. Another goal required Student to read 75 high-frequency words in a variety of materials, with a specified success rate as measured by a teacher-made test. This goal was a more advanced version of a goal set in the January 25, 2007, IEP. A third goal required her to use the words “yes” and “no” appropriately when asked a question about a personal desire, with a specified success rate as measured by data collection. This goal was similar to the goal in the IEP of January 25, 2007, and it repeated the benchmarks of the earlier goal, as Student was still having difficulty discriminating between yes/no. Another goal required Student to track and represent changes in syllables and words with two-letter and three-letter sounds when a sound was added or changed, with a specified success rate as measured by teacher-made test. Another goal, which did not identify an area of need, required Student to be able to re-sequence a story using visual cues and up to three pictures. The goal did not specify a means of measurement. The team set a Social/Emotional goal, requiring Student to request a peer to play with her and requiring Student to stay involved in the activity for five minutes with adult supervision, with a specified success rate as measured by data collection. This goal was a more sophisticated version of a Social/Emotional goal in the January 25, 2007, IEP. The team set a Self-Care goal, requiring Student to go to the restroom and participate in all bathroom routines with visual support during recess breaks and once during class time, with a specified success rate as measured by observation. This goal was a more sophisticated version of the Self-Care goal in the January 25, 2007, IEP. 53. The team noted that Student required visual schedules and a communication system to progress. The team also recorded that Student required a handi-writer as assistive technology to support her during writing tasks. The team decided that Student’s classroom accommodations should include visual strategies and more time to respond. The team determined that behavioral intervention was not necessary. 54. District offered placement in an SDC class at Rio Hondo, Monday through Thursday from 8:45 a.m. to 11:30 a.m., and Friday from 8:45 a.m. to 2:45 p.m., and individual ABA services at Alameda from 12:00 to 2:30 p.m. Monday through Thursday, for a total of 10 hours of ABA services. The one-to-one ABA services were decreased because of the longer school day that Student would have as a first grader at Rio Hondo. District would provide an aide at Rio Hondo in the mornings who would travel with Student to the ABA sessions at Alameda. District also offered extended school year (ESY) from June 25, 2007 through July 26, 2007, four hours a day, four days per week in a classroom program. District also offered a maintenance program from July 31, 2007, through August 23, 2007, for 2 hours per day, 3 days per week of in-home ABA services. Parents and their advocate expressed concern regarding the addition of a classroom aide at Rio Hondo, instead of a one-to-one aide. Ms. Barrios strongly recommended avoiding a one-to-one-aide, so as to avoid dependency issues. She also recommended trying the District’s proposal through mid-October, to give the ABA specialist a chance to observe, develop any needed ABA plans, and to train the new classroom staff. She also proposed swapping classroom assistants with the new teacher at the beginning of the school year so that Student would have a familiar face in class and Ms. Barrios could train one of the proposed classroom aides. Student was also offered individual LAS therapy for 50 minutes per week in the classroom; group LAS therapy for 50 minutes per week in the classroom; and APE and OT services. 55. Jane Haddad, of the NPA More than Words, performed a speech and language assessment of Student at Parents’ expense in November 2007. 5 At the time of the assessment, Student was six years and five months old. According to the report, Ms. Haddad had a Master’s degree and a Certificate of Clinical Competence in Speech-Language Pathology. Ms. Haddad reported that the assessment was performed in two sessions. One session lasted 90 minutes, and one session lasted 75 minutes. Student was accompanied at the first session by Mother, and at the second session by both Parents. 56. Ms. Haddad reported that Parents were concerned regarding the LAS services that District was providing. Ms. Haddad reported that Student was generally pleasant and cooperative during both testing sessions. Her play skills were immature and repetitive at times, and she had a short attention span. When she played with the assessor, she was able to engage in more complex play, and to attend for longer periods. Student demonstrated impaired motor planning skills during play. Her eye contact was limited. She would look at the assessor or Parents when she made a request, but the assessor found it difficult to establish eye contact when the assessor initiated interactions. Student could remain seated for up to 20 minutes, although she was frequently inattentive and easily distracted by visual stimuli. 57. Ms. Haddad administered the ROWPVT to assess single-word receptive vocabulary. Student received a Standard Score of 65, with a Percentile Rank of 1 percent, indicating a severe delay. Ms. Haddad administered the EOWPVT to assess single word expressive vocabulary. Student achieved a Standard Score of 65 and a percentile rank of 1 percent, indicating a severe delay. 58. Ms. Haddad administered the PLS-4 to assess Student’s receptive and expressive language skills. Student obtained a Standard Score of 50, and a Percentile Rank of 1 on both portions of the assessment: Auditory Comprehension and Expressive Communication. Her total Language Score was therefore also a Standard Score of 50 and a Percentile Rank of 1, indicating a severe language impairment. Ms. Haddad reported that Student required frequent cues during the PLS-4 to maintain her attention to task, and that she appeared to lose focus when language became complex. She followed directions better during preferred activities. 59. The Affect-Based Language Curriculum (ABLC) checklist was completed by Mother and was used to measure skill levels of three core areas of communication: Engagement/Co-Regulation/Pragmatics, Receptive Language, and Expressive Language. Student did not demonstrate any skills in the 36 to 48 month level in the areas of Engagement/Co-Regulation/Pragmatics and Expressive Language. She demonstrated three of nine skills in the area of receptive language, because she understood colors, shapes, and prepositions. On the Expressive Language scale at the 24 to 36 month level, Student demonstrated 13 of 28 skills. Ms. Haddad concluded that the results of the ABLC generally coincided with the results of the PLS-4. 60. Ms. Haddad collected a limited spontaneous language sample of 16 utterances, and determined that Student only demonstrated a rate of 1.5 morphemes per utterance, which was significantly lower than the 6-plus morphemes of utterance which would be expected from a child of her age. Ms. Haddad found that Student’s syntax was significantly impaired. Student became frustrated while playing at one point, and she screamed and attempted to pull an item from Ms. Haddad’s hands. With minimal cues, she was able to express herself more appropriately. Mother reported that Student would sometimes engage in self-injurious behavior when frustrated. 61. Mother reported to Ms. Haddad that Student would answer yes/no questions regarding her wants approximately 75 percent of the time, that Student could verbalize basic requests, and that Student no longer used the picture communication system at home. 62. Ms. Haddad reported that Student’s pragmatic skills were also impaired. She used language to request action/objects/assistance/recurrence, greet, negate/deny, label, instruct, ask/answer questions and repeat. She often repeated the last one to three words of questions and question comprehension was poor. She did not use language to narrate play or an event, direct someone’s attention to something, engage in conversation, or role-play. Mother reported to Ms. Haddad that Student’s social skills were significantly impaired. Mother stated Student did not play with toys with other children, and she typically ignored initiations made by peers. 63. Mother completed the “Auditory Stimulation” portion of the Analysis of Sensory Behavior Inventory–Revised. Student presented with two of nine auditory-avoidant behaviors: She protested or overreacted to loud unexpected noises and seemed unable to pay attention when there were other noises present. She did not demonstrate any auditory-seeking behaviors. Overall, Ms. Haddad concluded that Student did not demonstrate significant difficulty processing sound. 64. Student’s articulation skills were assessed using the Arizona Articulation Proficiency Scale–Third Revision. She obtained a Standard Score of 75 and a percentile Rank of 4, indicating that she was moderately impaired. Ms. Haddad reported that Student had several sound substitutions and distortions. Ms. Haddad reported that Student’s speech was generally intelligible with careful listening. Decreased volume and use of jargon further decreased her intelligibility at times, and Mother reported that relatives understood Student about 50 percent of the time. Ms. Haddad found that Student’s oral-facial structure were normal, except that she had only one upper-central incisor. 65. Ms. Haddad concluded that Student had severely impaired receptive and express language and pragmatic skills due to autism. Her expressive vocabulary was an area of relative strength, however syntax and pragmatics were poor, and she had difficulty using language within sentences. Play and interaction skills were also significantly delayed. Speech production skills were moderately impaired, and her speech intelligibility was often reduced due to articulation errors, use of jargon, and low volume. 66. Ms. Haddad recommended Student receive individual LAS three hours per week, provided by an SLP with expertise in working with children with autism. She did not recommend group LAS because of Student’s current language age level, rather, she recommended that social skills be addressed within her ABA program both in the classroom and at home. Ms. Haddad further concluded that given the severity of Student’s autism, her slow rate of progress, and her generally cooperative behavior, a more intensive ABA program should be considered, including a home program. She also recommended monthly collaboration between the SLP and Student’s behavior therapists. 67. Ms. Haddad did not testify at hearing. Julie Kastigar, a licensed California SLP who is Clinical Director of More Than Words, was called to testify as an expert witness by Student to discuss Ms. Haddad’s report, the services More Than Words provided to Student, and Student’s progress. Ms. Kastigar received her B.S. in Speech and Hearing Science from the University of Arizona, and her M.S. in Communication Disorders from Arizona State University. Ms. Kastigar holds a California Professional Clear Credential in Language, Speech and Hearing, and a Certificate of Clinical Competence in Speech-Language Pathology. In her position with More Than Words, she provides assessment, treatment planning, and LAS therapy for children with a variety of diagnoses, including autism, Down’s syndrome, apraxia, articulation disorder, and receptive, expressive, and pragmatic language disorders. She saw Student two times, on October 31, 2008 and in early November, 2008, and had observed her in school on December 2, 2008. Student has received two hours per week individual therapy at More than Words since approximately December 2007, but Ms. Kastigar was not her therapist. Rather, her therapist was Bridget Carney. 68. Ms. Kastigar recognized that District had addressed Student’s speech intelligibility/articulation in the June 2008 IEP, discussed below, but she believed that District should have addressed it sooner. Currently, Ms. Carney was addressing expressive language, two-step directions, phonemes, “wh” questions, and a turn-taking goal. Ms. Carney was also working on Student’s spontaneous utterances. Ms. Carney, who was supervised by Ms. Kastigar, reported to Ms. Kastigar that Student had difficulty maintaining attention during therapy. She also reported that Student engaged in self-stimulatory behaviors during therapy, but these behaviors have improved. Student’s speech abilities have improved. She can answer some “wh” questions, and her turn-taking skills have improved. Her attention has also improved. Ms. Kastigar believed that Student demonstrated quite a bit of potential. She recommended that Student continue to receive two hours of individual therapy per week from More Than Words. 69. Ms. Kastigar criticized the LAS services offered in Student’s IEP of January 25, 2007, on several grounds. In her opinion, neither the amount of therapy, nor the group nature of the therapy, was appropriate. The amount of therapy was not intensive enough, in view of Student’s severe language delays. Student needed to develop her skills individually before she could demonstrate those skills with another child. Also, Student’s self-stimulating behaviors were not conducive to a group therapy situation. Ms. Kastigar also criticized the LAS goals in the IEP, as they did not address receptive language and speech intelligibility. 70. Ms. Kastigar also criticized the LAS services offered in Student’s IEP of June 1, 2007. The amount of individual services offered (50 minutes per week) was not sufficient, and the goals did not specifically address Student’s articulation and receptive language deficits, or “yes/no,” syntax, length of utterance, and uses of words to convey different functions, such as possession or location. Ms. Kastigar attributed Student’s poor performance on Ms. Haddad’s assessment to the District’s failure to provide appropriate services. 71. Ms. Kastigar was aware that the addendum IEP of February 8, 2008, increased Student’s LAS services by adding one hour per week of NPA services to the 50 minutes per week of school-based services and 50-minutes per week of group services offered in the Student’s IEP of June 1, 2007. She had no criticism of the amount of LAS services offered in the February 12, 2008, addendum IEP. 72. Ms. Kastigar also commented on her school observation of Student, which lasted approximately 50 minutes. She thought that the classroom was noisy and distracting, and noted that Student’s aide did not facilitate Student interacting with other children. She observed Student receiving individual therapy from Ms. King, the District’s speech therapist, in the speech therapy room. She approved of the methods Ms. King used, and observed that Student did well in working on the goal for “wh” questions. Student seemed to enjoy her session with Ms. King, and could attend and answer questions. 73. Ms. Kastigar recommended that Student’s therapy focus on individual therapy, so that Student could acquire the foundational skills that Student would need before transitioning to group therapy. Ms. Kastigar recommended that Student continue to receive individual therapy of two hours per week even after she transitioned to group therapy. IEE by Michelle D. Wallace, Ph.D.
74. In approximately December 2007, Parents obtained an IEE at their expense from Michelle D. Wallace, Ph.D. Dr. Wallace did not testify at hearing, and no person affiliated with her testified at hearing. 6 As is described below, Dr. Wallace’s report was discussed at the IEP meeting of February 12, 2008. 75. Dr. Wallace conducted her IEE to evaluate and make recommendations regarding the Student’s current educational program, to evaluate the District’s proposed services, and to assess Student’s current level of behavioral performances in relation to her educational and academic abilities. Dr. Wallace’s assessment consisted of a records review, a parent interview, and two school observations of Student. Dr. Wallace noted that Student’s behavioral deficits that could impede her education progress included deficits in communication and language skills, social skills, motor skills, play skills, school readiness skills, such as attending, saying on task, asking for help and breaks, self-care skills, and basic learning skills, as well as self-injurious behaviors, self-stimulatory behaviors, and noncompliant behaviors. 76. Dr. Wallace reported on her observation of Student’s ABA program at Alameda for one hour on December 11, 2007. She noted that Student’s ABA sessions were supervised by Ms. Barrios, but that they were not supervised or monitored by a Board Certified Behavior Analyst (BCBA). 7 She observed that the program used a good presentation of learning trails. She also observed that instruction was presented in a structured approach using behavior strategies including prompting and reinforcement. 77. Dr. Wallace also reported on her one-and-one-half hour observation of Student’s SDC classroom which occurred on December 11, 2007. She noted that the teachers and aides used a number of behavioral strategies including activity schedules, star charts, reinforcement, token boards, and prompting. Ms. Wallace concluded that the classroom required more structure in the presentation of the curriculum. She concluded that, overall, Student required a more intensive one-to-one approach in the delivery of instruction in the classroom. 78. Dr. Wallace’s report recommended an intensive ABA program consisting of at least 30-35 hours per week of instruction, focusing on communication, academic, and social skills, delivered by someone who has received intensive training in ABA, and supervised and monitored by a Board Certified Behavior Analyst across Student’s school day. She reported that Student was currently receiving only 10 hours per week of what could be considered intensive ABA programming. She also recommended that programming be seamless between the SDC and the ABA program. Dr. Wallace suggested that a functional behavioral analysis approach be used, and that a behavioral intervention plan be developed to address Student’s behavioral deficits. 79. District convened an IEP meeting on February 12, 2008, when Student was six years old and in first grade, to discuss the results of Ms. Wallace’s and Ms. Haddad’s assessments. At that time, Ms. Chen was Student’s SDC teacher, and had been since the beginning of the school year. When she was Student’s teacher, Ms. Chen held a Preliminary Level I Education Specialist Instruction Credential, and a Clear Crosscultural, Language and Academic Development Certificate. The former credential specifically authorized Ms. Chen to provide instruction and related services to individuals with a primary disability of specific learning disability, mild/moderate mental retardation, other health impairment, and serious emotional disturbance in K-12 and adult classes, across the continuum of placements, including SDCs. 80. The IEP team included Parents, Ms. Matthews and another District Program Administrator, Ms. Chen, Susan King, (Student’s SLP), and Ms. Barrios. The team discussed Student’s present levels of academic performance, noting that she had met most of her benchmarks. Her one-to-one aide was beginning to shadow Student during class so that Student would become less dependent on adult intervention. (No IEP provided for the one-to-one aide, but District commenced providing the aide in September 2007.) Ms. Chen recommended an extension of Student’s classroom day, and discussed the interaction of her SDC pupils with typical peers. Parent requested a description of the classroom routine. 81. Ms. King, Student’s SLP, reported that Student was not using her picture exchange communication system (PECS) as much, and was making good progress. 8 Student was able to request breaks and understand two-step (first/then) directions. She received LAS in a group with regular education kindergarten-aged peers. In response to Parents’ questions, Ms. King explained that Student had definite deficits in expressive language, and was functioning at about a two- to three-year old level. Student’s receptive language was much stronger than her expressive language. Student was on target to meet her LAS goals and was improving in her ability to communicate and take turns with typically developing peers. 82. Ms. Barrios reported that she was beginning to place higher demands on Student’s abilities to communicate and to comprehend. Student was spending more time with typical peers, and had a friend. Student was initiating interaction with peers, and working on identifying people by name. She used language to direct other people’s behavior, and was using sentence stems, such as “I want.” She was able to locate a person, attract their attention, and complete a task. She was working on responding. She was beginning to learn how to write her name independently. Ms. Barrios was introducing her to the idea of completing a task before asking for a break, and also introducing her to asking for help. Student had previously struggled with one-to-one correspondence, but could now perform this skill up to three. She could identify numbers 1 through 20, and identify touch points through eight. She was working on expanding her vocabulary of prepositions. She could identify verbs by sight words, and was working on comprehension in this area. She knew her color words, and number words were reintroduced in January. She could “freeze” and line up at recess. She was learning to wait for instruction. Parents stated that Student was having difficulty with this skill at home, due to her communication skills and functioning levels, which resulted in negative behaviors. When in the community, she had difficulty waiting if her routine was changed, and she became much more easily distracted. 83. The team discussed LRE issues if Student were placed in a program consisting only of ABA therapy. Parents said that Student was not benefiting from her present program and that they thought she could benefit more from a strict ABA program. The team discussed the recommendation of the private assessments. Parents requested services in accordance with the recommendations of Ms. Haddad and Ms. Wallace consisting of three hours per week of LAS from an NPA, and 30-35 hours a week of ABA from an NPA, to include morning school attendance with a one-to-one NPA ABA aide. The District offered 18 hours per week of a structured SDC, 10 hours per week of ABA services, one hour per month of ABA consultation to SDC and SLP, one hour per week of LAS services provided by an NPA to be selected by the District, 50 minutes per week of individual LAS, and 50 minutes per week of group LAS, and OT and APE services. The team did not set any new goals. The team noted that staff development was needed for school personnel, that Student needed a picture symbol system as assistive technology, and visual supports and schedules as supplemental aids. The team also noted that behavioral goals and objectives were incorporated in the IEP. 84. Parents did not consent to the District’s offer. Rather, commencing in approximately April 2008, Parents gradually withdrew Student from the District’s one-to-one ABA program and from her classroom at Rio Hondo. In April 2008, Student commenced an ABA program with Autism Behavior Consultants, Inc. Student soon discontinued that program, and on May 5, 2008, commenced an in-home ABA program with California Unified Service Providers LLC (CUSP), gradually increasing the amount of time she spent outside of school and in the CUSP program. Student has continued with the CUSP program through the time of hearing. At the time of hearing, Student was receiving approximately 21 hours per week of services from CUSP, 10 hours of which were funded by the Student’s Regional Center. Student gave no written notice to District that she would be withdrawing from the District’s ABA program and from a part of the Rio Hondo SDC program, and instead would be obtaining ABA services from an NPA. 85. In March, 2008, Ms. Chen, Student’s SDC teacher, took maternity leave. Jill Roddy replaced Ms. Chen, and was Student’s SDC teacher at Rio Hondo during the remainder of the 2007-2008 school year and continuing into the 2008-2009 school year. Ms. Roddy’s emergency 30-day substitute teaching permit was issued on June 19, 2008, and on September 22, 2008, she was issued her Internship Education Specialist Instruction Credential. The latter document authorized her to teach students with a primary disability of specific learning disabilities, mild/moderate mental retardation, other health impairment, and serious emotional disturbance, from kindergarten through 12th grade and adults, across the continuum of placements, including an SDC. Ms. Roddy received her B.S. in Human Services from the University of Phoenix in October 2007. Her assignment as Student’s SDC teacher was her first full-time teaching assignment. Prior to that time, and since September 2004, she had been employed by the District as a Senior Instructional Aide for Behaviorally Challenged students. As such, she had worked in classrooms populated by autistic children, including Student’s classroom when Ms. Chen was the teacher. Ms. Roddy had received ABA and Discrete Trial Teaching training in 2007 and 2008. She had received no training collecting data, and neither she nor staff collected data in the SDC. 86. On April 8, 2008, B. J. Freeman, Ph.D., performed a psychological IEE of Student, to assess Student’s current level of cognitive and social adaptive functioning, and to provide recommendations for appropriate programming. Student’s attorney referred her to Dr. Freeman, but ultimately the District paid for the IEE. Dr. Freeman is a licensed clinical psychologist, who obtained her B.A. from Mercer University in 1966, her M.A. from Southern Illinois University in 1968, and her Ph.D. from the same institution in 1969. Dr. Freeman has made numerous presentations and has published numerous papers regarding autism throughout her career, and is a Professor Emerita of Medical Psychology, UCLA School of Medicine. Dr. Freeman spent two hours assessing Student in her office. Student had never met Dr. Freeman previously, and she had not previously been to Dr. Freeman’s office. 87. Dr. Freeman noted Student’s previous diagnosis of Autism Spectrum Disorder. She noted delays in Student’s language and social development, including slow speech development, seldom speaking unless prompted, repeating words many times, being in a “world of her own,” and not playing with other children. Dr. Freeman reported that Student often ignored sounds and what was said to her and she sometimes stared vacantly. She noted that Student liked to look at herself in the mirror, was very interested in small parts of objects, tended to put objects in her mouth, lined up objects, spun herself, jumped repetitively, and exhibited an inconsistent reaction to pain. She had temper tantrums and might cry or laugh for no obvious reason. Dr. Freeman summarized Student’s school history and the services provided by District. 88. Under Behavioral Observations, Dr. Freeman reported that she was rather shocked that Student did not have readiness skills for learning, in view of the fact that Student had been receiving ABA services for the previous three years. At hearing, Dr. Freeman elaborated that learning readiness skills included the ability to attend to task and to consistently follow instructions, without prompting. In her report, it was “clear” to Dr. Freeman that the District’s program was not appropriate and was ineffective for Student, and that she had learned many meaningless skills while functional skills had not been the focus of her program. Dr. Freeman reported that Student continued to exhibit many behaviors that interfered with her day-to-day functioning, and that her language skills remained significantly delayed. Student’s behaviors, including inattention to task, lack of problem-solving skills, lack of readiness skills, and poor language processing, interfered with Dr. Freeman’s ability to accurately assess Student’s potential. 90. Dr. Freeman reported that the Information subtest required the child to answer questions that address a broad range of general knowledge and topics, and was designed to assess the child’s ability to accrue, retain, and retrieve general factual knowledge. The Receptive Vocabulary subtest measures language processing, and required the child to point to the correct one of four pictures that matched the word or concept the examiner said aloud. Picture Naming was a measure of expressive vocabulary and required the child to name or identify pictures. Student scored in the lower end of average on this subtest. Dr. Freeman noted that Student had much more difficulty on the Receptive Language subtest, which involved following commands and answering questions. Without a visual cue, Student was unable to process the question. The Object Assembly subtest, which involved measuring the Student’s ability to integrate puzzle pieces into a meaningful whole, revealed that Student had notable deficits in fine motor skills. Dr. Freeman concluded that, despite the number of one-to-one hours of ABA therapy Student had, she had not yet attained visual organizational skills as part of a readiness-to-learn program. 91. Dr. Freeman assessed Student’s Adaptive Functioning by using the Vineland (Parent and Teacher Rating Forms). The forms were completed by Parents and by Student’s teacher, Ms. Chen. Parents and Ms. Chen generally reported consistent scores of the first percentile or less in the areas of Communication, Daily Living Skills, Socialization and Motor Skills. 92. Dr. Freeman noted Student’s other behavioral challenges, as described by Parents and teacher. In the home setting, Student was overly dependent, avoided others, had eating problems, had sleeping problems, was moody, and avoided social interaction. She had temper tantrums, during which she would hit and bite others, and had difficulty calming herself. She still wore diapers day and night, had difficulty paying attention, was very active, was obsessive, had unusual habits, preferred objects to people, had unusual speech, was unaware of her surrounding and was fearful of ordinary sounds. Teacher reported that Student had a great deal of difficulty with social relationships and with impulsivity. Teacher also reported that Student could work, if given a high level of reinforcement. Teacher reported that Student needed a great deal of structure and visual supports to function in the school environment. 93. Dr. Freeman assessed Student’s Social Skills and Problem Behaviors by using the Social Skills Rating System (Parent and Teacher Forms, Elementary Level). Dr. Freeman reported that the parent and teacher questionnaires measures the areas of Social Skills and Problem Behaviors, both at home and at school, and the teacher questionnaire also measures Academic Competence at school. The Social Skills scale measures positive social behaviors in the areas of Cooperation, Assertion, Responsibility, and Self-Control. The Problem Behaviors scale measures behaviors that interfere with the development of positive social skills and includes three areas: Externalizing Problems, Internalizing Problems, and Hyperactivity. On the Academic Competence scale, the teacher rated the child’s academic behavior. Dr. Freeman reported that Student’s scores were somewhat higher in the structured school environment than at home. According to Parents, Student obtained a Social Skills score of 46 (<2nd percentile) and a Problem Behaviors score of 112 (79th percentile). Student’s social skills behavior was rated as average in all subscale areas. Parents viewed her as having fewer social skills overall than a typical same-age child. They rated Student’s problem behaviors as average in terms of aggressive behavior and sadness or anxiety. Parents rated her behaviors as more problematic in the area of hyperactivity. Dr. Freeman reported teacher’s ratings of Student, which revealed that Student had a Social Skills score of 81 (10th percentile), a Problem Behaviors score of 108 (70th percentile), and an Academic Competence score of 83 (13th percentile). Teacher rated Student as having an average level of social skills in the cooperation area. In the areas of assertion and self-control, Teacher rated Student as having fewer social skills in the school setting than would be expected of a typical child. Teacher rated Student’s problem behaviors as average, and Student fell below average in terms of academic competence compared to other children in the classroom. 94. Dr. Freeman assessed Student’s executive functioning with the Behavior Rating of Executive Functioning (BRIEF). The BRIEF consists of a questionnaire, completed by the child’s parents and teachers, which measures eight fundamental aspects of executive functioning in two domains: Behavioral Regulation and Metacognition. The Behavioral Regulation Index reflects the child’s ability to shift cognitive sets and modulate emotions and behavior by appropriate inhibitory control. Metacognition represents the child’s ability to initiate, plan, organize, and sustain future-oriented problem solving in working memory. The Global Executive Composite incorporates all eight scales of the BRIEF and is a summary measure of the child’s overall functioning. Dr. Freeman reported the scores in T-scores. The higher the T-scores, the more impaired the child is in executive functioning. 95. The T-Scores assigned by Parents in the subdomains ranged from 46 in Emotional Control to 95 in Shift, with a Behavioral Regulation Index T-Score of 64, a Metacognition Index T-Score of 63, and a Global Executive Composite T-Score of 65. The T-Scores assigned by teacher in the subdomains ranged from 49 in Organization of Materials through 82 in Emotional Control, as well as in Monitor, leading to a Behavioral Regulation Index T-Score of 83, a Metacognition Index T-Score of 66, and a Global Executive Composite T-Score of 73. 96. Parents reported to Dr. Freeman various areas of concern with Student’s executive functioning. These areas consisted of Student’s ability to adjust to changes in routine or task demands, to sustain working memory, and to monitor her own behavior. Teacher also reported to Dr. Freeman areas of concern with Student’s executive functioning, including adjusting to changes in routine or task demands, sustaining working memory, and monitoring her own behavior. Teacher also described Student as having difficulty inhibiting impulsive responses and modulating her emotions. 97. Based upon the data obtained during the assessment, Dr. Freeman concluded that Student’s adaptive level of functioning was below age level, and that this was likely an underestimate of her abilities due in part to decreased motivation for engagement in developmentally appropriate activities. Dr. Freeman also concluded that measures of Student’s cognitive ability may be an underestimation of her true abilities due to behavior issues that impeded assessment. She reiterated her concern that Student had not developed learning-readiness skills. She concluded that Student’s current program “did not appear” to be appropriate for her, and “it appears” that Student had been receiving ineffective ABA services that were not community-based and were not relevant to her current functioning and needs. Thus, she determined that Student’s entire program should be reviewed. 98. Dr. Freeman concluded her report with more than four pages of recommendations. Dr. Freeman reported that Student needed an intensive intervention program to catch-up developmentally and to learn to function independently. Dr. Freeman’s recommendations for this intensive program included a functional behavioral assessment, 9 30-35 hours a week of intensive ABA services “in addition to her in-home program,” which should consist not only of parent-training but 10-15 hours a week of one-to-one in-home instruction. Dr. Freeman recommended that the ABA services be incorporated into the classroom and throughout Student’s day. (Dr. Freeman’s report suggests that the home services be provided by the Regional Center.) Dr. Freeman recommended that the ABA services include one-to-one teaching with gradual introduction into a group setting. Dr. Freeman also recommended a comprehensive speech and language evaluation, continued OT services, six hours per day of in-school, developmentally appropriate, structured activities, including one-to-one teaching in the context of a year-round program, and, to the extent it led to accomplishing specific educational goals, Student should receive specialized instruction in a setting which provided ongoing interactions with typically developing children, which required increased one-to-one assistance. Dr. Freeman recommended that Student’s teachers have hands-on training as well as academic training in working with children with autism. Dr. Freeman’s report deemed it mandatory that all providers and caregivers working with Student be trained, and that a consistent program across environments be developed. Dr. Freeman recommended that Student’s IEP provide for: one-to-one LAS as well as small group services, and services “in the natural environment,” goals and objectives for social adaptation, teaching of play skills, cognitive development goals to be implemented by one-to-one instruction; intervention strategies to address problem behaviors, and the teaching of functional academic skills. Dr. Freeman also recommended a variety of tasks that Student should learn, such as listening, following instructions, appropriate imitation, the classroom routine, learning strategies, stress management, appropriate peer interactions and play. 99. Dr. Freeman did not talk to the school psychologist, or to Ms. Barrios. She did not observe Ms. Barrios’s ABA classroom. She did not recall what documents she reviewed before performing her assessment. Her recommendations are general recommendations, some of which she makes routinely, such as obtaining a functional behavioral assessment, and the recommendation of 30-35 hours of ABA services. She did not know how many of the recommended hours should be at home, at school, or one-to-one, and she deferred to CUSP regarding those matters. She acknowledged that Student needed group learning skills, but she was concerned that Student did not have the necessary learning readiness skills to benefit from a classroom environment. She was unsure as to whether it would be appropriate for Student to attend school part-time with a trained aide. 100. Subsequent to performing her assessment and producing her report, Dr. Freeman observed Student’s classroom at Rio Hondo on November 10, 2008, for approximately 45 minutes. At hearing, Dr. Freeman reported her opinions about the observation. Dr. Freeman noted that it was not an ABA classroom. In her opinion, the class, which consisted of 14 enrolled children (only 12 of whom were present at the time of the observation), a teacher, two aides, another “floating” aide, and Student’s aide, had too many people. She spoke to Student’s teacher, Ms. Roddy, and thought that Ms. Roddy was not fully trained. She observed that Student’s self-stimulatory behaviors interfered with Student’s learning, and that Student needed a behavioral plan. She observed that Student needed many prompts, and was not actively involved in learning in class. 101. At hearing, Dr. Freeman criticized the goals in Student’s IEPs for a variety of reasons. They did not address all of her needs, in that there was no goal for observational learning (learning from what other students are doing), nor goals for playing with toys or play sequencing. Student’s speech and language goals were not integrated into the SDC or the ABA program. They were not properly measurable, and they did not mention data collection. 102. District convened Student’s annual IEP meeting on June 5, 2008, when Student was six years old and had almost completed first grade. 10 The meeting included Parents, Ms. Roddy, Ms. King, Ms. Barrios, a general education teacher, an OT, Ms. Matthews, the school psychologist, and representatives of CUSP. The team noted that Student needed to be with peers who have similar learning needs and styles, and she also needed a low pupil/adult ratio. The team noted her present level of performance. The team noted that she was making good progress. She worked best in a highly structured setting, with visual supports for specific tasks, and she could transition between activities with minimal adult prompts. She could complete a familiar task independently, and she enjoyed working with the alphabet, looking at books, doing puzzles, and singing/music. In the Pre-Academic/Academic/Functional Skills area, the team noted that Student would follow simple one-and two-step directions related to classroom tasks. She knew all the letter sounds and was able to read 75 high-frequency words. She could label and identify numbers to 20. When asked her name and age, she responded correctly. She could name most of her fellow students and all of her teachers. Student was making progress on her speech and language goals. She appeared to prefer to use oral speech, but occasionally used a communication board. She still had delays in receptive and expressive language and pragmatics. Her articulation also made her speech unintelligible due to her fast rate of speech. 103. The team noted that Student was making progress in her social development. She appeared to enjoy several of her classmates and teachers, and she would play with her peers in a group setting with adult support. She was easygoing and appeared to be happy at school. In the area of Pre-Vocational and Vocational Skills, the team noted that Student followed the class routine independently and transitioned between tasks with minimal verbal prompts. She handled schedule changes well, and occasionally needed visual assistance when there was a schedule change. She could work independently on familiar and some unfamiliar tasks. In the area of Self-Help, the team noted that Student was independent in most of the self help areas. She could complete her bathroom routine independently, and was on a toilet training schedule, but was still not toilet-trained. She occasionally needed help with clothes fasteners, and could open most food items. 104. The team recorded that Student’s autism impacted her auditory comprehension, academics, self help, socialization, and fine motor skills. The team recommended classroom accommodations consisting of visual supports and more time to respond. The team noted that school personnel needed ongoing training in behavior modification strategies. The team determined that behavioral intervention was not necessary and that behavioral goals and objectives were incorporated into the IEP. 105. The team set annual goals and related benchmarks in the area of Pre-Academic/Academic skills, consisting of Student learning to write her name independently and trace the letters of the alphabet, to build on Student’s skills on holding a pencil, and her ability to identify all of the upper-case and lower-case letters of the alphabet and their corresponding sounds. Each goal specified a success rate, and that progress would be measured by work samples. A goal was also set requiring Student to count up to 50 objects and identify numbers up to 100, with a specified success rate as measured by observation. This goal was to build on Student’s ability to match and count up to 20 objects with one-to-one correspondence. The team set a goal in the area of Academic/Reading, to increase sight word vocabulary, as Student could sight-read 75 high-frequency words. The team set a specified success rate for this goal, as measured by observation. The team set five Language/Communications goals. Two of the goals consisted of learning to answer “yes” and “no” with respect to questions about a personal desire, and to answer “yes” and “no” questions appropriately using a complete sentence structure. The team noted that Student was correctly able to answer “yes” and “no” when asked a simple informational question, but only inconsistently answered “yes” and “no” questions when asked about desires, or in a more complex context. The team set a specified success rate for these goals, as measured by observation and/or data notes, as specified. The team also set goals for improving the intelligibility of Student’s speech, maintaining her already-acquired skill of requesting breaks, and greeting or saying good-bye to peers by their names, since she was unable to use their names during greeting or leave-taking without prompting. Ms. King recommended the goal regarding the intelligibility of Student’s speech because the intelligibility of Student’s speech had deteriorated since she first started working with Student in September 2007. The team also decided to continue the goal regarding requesting breaks, although Student had already met it, because Student’s academics and language were becoming more complex. The team set a specified success rate for each of these goals, to be measured by observation and/or data notes, as stated for each goal. The team set a Social/Emotional goal to teach Student turn-taking, with a specified success rate as measured by observation. The team noted that Student could interact with her peers in a group setting, but still had difficulty with turn-taking. The team set three OT goals in the areas of fine motor, visual-motor, and self-help skills, consisting of learning to fasten her pants, learning to cut curves and angles with scissors, and improving her coloring. The team set specified success rates for each of these goals, as measured by observation and/or work samples, as stated for each goal. 106. Ms. Roddy reported to the IEP team on Student’s classroom performance. She stated that Student had met or exceeded six of seven goals, and had made substantial progress toward the goal pertaining to yes/no. Parents expressed concerns about the mastery level of the goals in the IEP, and the team discussed those levels. Ms. Barrios reported that Student’s attendance at ABA therapy had diminished beginning in January, and that Student had stopped attending the program. Ms. Barrios discussed Student’s participation in a general education class for physical education, and that Student was able to master the class routine. She discussed the data she had collected on Student’s pre-academic skills and anti-learning behaviors. Ms. Barrios stated that pre-academic skills declined significantly between January and May, when Student’s attendance in her class decreased until she no longer attended the class, and reported that Student’s anti-learning behaviors significantly increased during that same period. Ms. Barrios also suggested the inclusion of a behavioral goal, and that she would collect data on Student’s classroom behavior to develop such a goal. 107. Ms. King, the SLP, reported that Student had made significant progress. She noted that Student now preferred to use oral language instead of her communication book. She had met all five of her language and communication goals. However, Student still had difficulty with “I see” and “I smell” statements. Ms. King recommended 50 minutes of individual LAS therapy and 50 minutes of group LAS therapy per week. She stated that the group therapy involved two to three students, usually of the same age. At hearing, Ms. King explained that the LAS services were divided, with group services being provided in 25 minute sessions, twice a week, and individual services being provided in two 20 minute sessions twice a week, and an additional 10 minutes per week added in the classroom. Ms. King provided 10 minutes per week of individual therapy in the classroom on the rationale that it helped Student to generalize what she has learned in the speech room, and also Student happened to be in the classroom most of the time. Ms. King had not noticed any difference in Student’s ability to focus between the speech room and the classroom. 108. The team also discussed the assessment reports by Dr. Freeman and Dr. Wallace. Ms. Matthews commented that the report by Dr. Freeman contained the same recommendations as did a report Dr. Freeman prepared for another child in the District, who had very different needs than did Student. Parents responded that both the reports of Dr. Freeman and Dr. Wallace made the same recommendations, and that the reports were independent of each other. 109. The District offered a 30-hour structured SDC placement, with support of one-to-one staff who had had some training in ABA, consultation and training by the District ABA teacher, monthly team meetings, DIS services including OT, LAS, and APE, ESY with shadow support, and an FBA, as recommended by Dr. Freeman. The IEP did not offer individual ABA therapy as a related service, as had the previous IEPs. Parents never consented to the IEP. Nevertheless, Student participated in ESY during the summer of 2008. During the 2008-2009 school year, Student attended the SDC at Rio Hondo in the mornings, from 8:00 a.m. to 11:50 a.m, and received LAS services from Ms. King at the level set forth in the IEP. Her one-to-one aide had received ABA training. Student made progress on the goals set forth in her IEP. 110. CUSP performed an assessment of Student commencing on April 16, 2008, when Student was first seen by CUSP, and continuing until CUSP created a Behavior Analytic Report (CUSP Report) dated July 31, 2008, nearly two months after the June 5, 2008, IEP and after Student had filed her Complaint in this matter. The assessment was based upon observation of Student’s behavior in the clinical setting, during a school visit, and in the home setting. The other assessment tools were parent interviews and a review of historical records, which were not identified. No standardized assessment tools were used in creating the CUSP Report. 111. CUSP’s assessment results are scattered throughout the CUSP Report. The report does not clearly, consistently, or systematically reveal the sources of the particular pieces of information which CUSP has gathered, or when the information was gathered. However, evidence at hearing revealed that Student was observed by CUSP for two weeks during May 2008 before CUSP began to provide services. Additionally, the CUSP Report contained a narrative of the school visit undertaken by Monica Saydak, CUSP’s case manager, on May 13, 2008. Ms. Saydak observed Student at Rio Hondo during circle time, center time, snack time, and free play time, for a total of approximately two hours. She found that Student required a combination of verbal, gesture, and physical prompts to engage in classroom activities, with the exception of puzzle completion. Ms. Saydak noted that Student did not independently participate in classroom routines. Ms. Saydak did not observe Student transitioning independently from one activity to the next. Ms. Saydak observed that Student did not initiate or maintain interactions with peers and peers did not initiate interactions with Student. Classroom personnel did not capture opportunities for social interaction between Student and her peers, except for one time. During observation, Student successfully eloped one time from the aide and teacher, and she was readily contained. Further, on four occasions, Student placed playground debris into her mouth and chewed. The aide noticed two of these instances of “pica,” and Student complied with the aide’s requests to spit out the debris. 112. The bulk of the CUSP Report consists of the ABA program that CUSP recommended for Student, including 43 proposed Student goals with benchmarks and current levels of performance, in the following domains: Verbal Behavior, Listener Behavior, Daily Living, Leisure, Sensitivity/Value, and Self-Control. The CUSP Report also contained four goals for Parents. The CUSP Report contained no raw data, graphs, or other pictorial evidence that any portion of it was based upon data collection. 113. CUSP made a variety of recommendations, including: (1) 40 hours per week of one-to-one ABA intervention, to be delivered on a year-round basis; (2) Attendance at school 15 hours per week with a one-to-one CUSP behavior aide; (3) Up to 12 hours per month of behavioral supervision by a CUSP Behavioral Analyst; (4) 16 hours per month be devoted to clinical attendance for all of Student’s CUSP behavioral aides to attend Student’s clinical meetings; (5) Development of a behavioral intervention plan for pica behavior and for eloping behavior, and the establishment of functional target behaviors. The CUSP Report also recommended that intensive attention be given to Student’s comprehension of spoken language in the context of the one-to-one ABA program. 114. The CUSP behavior aides who provide Student’s one-to-one ABA therapy, are not required to have any college degree. Instead, the behavior aides need only be enrolled in college and complete 250-280 hours of training. 115. At hearing, Ms. Saydak testified that Student had made significant progress in the CUSP program. Student no longer wears diapers, and was beginning to ask to go to the bathroom. Student requests, imitates, follows instructions, waits, responds to her name, and performs other skills much more frequently than when she started receiving services from CUSP. Student was successfully toilet-trained in approximately August 2008, after an intensive effort by CUSP in Student’s home. 116. CUSP’s Clinical Director, Sebastian Bosch, Ph.D., was called as an expert witness by Student. Dr. Bosch received his B.A. in Psychology from McNeese State University in Louisiana, and his M.A. in Applied Behavior Analysis and Ph.D. in Applied Behavior Analysis from Western Michigan University. He is a BCBA. Dr. Bosch acknowledged the progress Student had made even though she was only receiving 20-22 hours of services per week. He maintained that a full 40 hours per week of services was required, as recommended in the CUSP Report, because Student still had significant deficits and extensive delays in such areas as communication and social interactions, and because all of the goals were not currently being addressed. He declined to predict for how long she would need the recommended 40 hours per week of services, but thought that it would be at least a year before a diminution of services should be considered. He has only seen Student at the CUSP clinic. He has never been to Student’s home or school, and has never reviewed her IEPs. 117. Dr. Bosch criticized the data collected by Ms. Barrios, on the grounds that it did not meet ABA standards. He testified that data collection and graphing were important components of an ABA program, and that data collection was a continuous process. Ms. Barrios did not collect data continuously, and he could not understand the data that she collected. The data was not presented in a consistent manner, and there was insufficient explanatory information on the charts, grids, and graphs he had reviewed. He remarked that Ms. Barrios had not had sufficient ABA training, and that she had not received training recently. He noted that he had met Ms. Barrios as part of a meeting he had with the District, in which the District discussed its desire to improve its ABA program. 118. During the 2008-2009 school year, CUSP provided approximately 21 hours of services per week to Student, 10 hours of which was paid for by the Regional Center, and the remainder of which was paid for by Parents. Parents also funded two hours per week of individual LAS services from More than Words from approximately November 2007 to the time of hearing. Whether the January 25, 2007, IEP, the June 1, 2007, IEP, and the June 5, 2008, IEP, provided Student a FAPE in the LRE, by providing a sufficient amount of individual instruction, including home-based services. 2. Student contends that the District has failed to provide Student sufficient one-to-one ABA services since the January 25, 2007, IEP, and thereby denied her a FAPE. With respect to the January 25, 2007, IEP, Student contends that the one-to-one ABA services in the amount of in excess of 11 hours, including 2 hours, 20 minutes of ABA services per week in the home setting, was insufficient for Student to obtain a meaningful educational benefit within the context of her potential. Student also contends that the increase to 17 hours of one-to-one ABA services, divided between school and home, as agreed to in the March 20, 2007, addendum IEP, was also insufficient. Student contends that the District did not provide sufficient ABA services to enable Student to acquire learning readiness skills, the services were not adequately incorporated into the rest of her school day, and the services were not sufficiently home-based. 3. Student makes the same contentions with respect to the adequacy of the one-to-one ABA services provided pursuant to the June 1, 2007, IEP. The June 1, 2007, IEP decreased the amount of one-to-one ABA services to 10 hours, with no home-based services. Student contends that the one-to-one ABA services provided by the June 1, 2007, IEP were insufficient for Student to obtain a meaningful education benefit within the context of her potential, the services did not enable Student to acquire learning readiness skills, the services were not adequately incorporated into the remainder of her school day, and none of the services were home-based. 4. Student contends that District denied her a FAPE by failing to offer any one-to-one ABA services in the June 5, 2008, IEP. Student contends that she continued to require one-to-one ABA services to obtain a meaningful educational benefit within the context of her potential. Student contends that she should have received one-to-one ABA services at a level of at least 30 to 40 hours per week, with the majority of the hours home-based. 14. Student failed to meet her burden of demonstrating by a preponderance of the evidence that the amount of one-to-one ABA services provided in the IEP of January 25, 2007, denied Student a FAPE. The IEP of January 25, 2007, included one-to-one ABA services for two hours, 20 minutes, four days per week at school, and two hours, 20 minutes of in-home services one day per week, for a total of 11 hours and 40-minutes per week of individual instruction. It was amended on March 20, 2007, to provide 17 hours per week of one-to-one ABA therapy, divided between school and home settings, and 13 hours per week of placement in the SDC. 15. The goals and services formulated by the IEP team at the January 25, 2007, IEP meeting were based upon an evaluation of Student’s present levels of performance, and reports of Student’s teachers as to her skills and progress up to the time of the IEP. Parents approved of the ABA services provided in the January 25, 2007, IEP, as well as the ABA goals in Ms. Barrios’s report. When Parents requested another IEP meeting to discuss the level of the ABA services, the District promptly convened another IEP meeting, and the level of services was increased. Again, Parents agreed to the level of ABA services. Parents provided no specific information to the IEP team that the ABA services were inadequate. 16. Student’s experts criticized the amount of individualized ABA services Student received, but they themselves were unable to agree on the level of individualized services Student required. Dr. Bosch, of CUSP, stated that Student required far more than 40 hours per week of individualized services, although he stated that 40 hours per week would permit Student to progress. Dr. Freeman’s report recommended 30-35 hours of intensive ABA therapy per week, plus 10- to 15-hours per week of in-home instruction, but at hearing she was far more uncertain as to the level of therapy Student should receive, and she was also uncertain as to the manner in which the services should be delivered. She was unable to specify how much of the services should be provided at home, how much should be provided at school, and whether an aide was required. Her uncertainty regarding these matters is significant, as she has devoted years to studying the needs of autistic children and the therapies that can assist them. Dr. Wallace’s report recommended that Student participate in an ABA program for 30-35 hours per week, without specifying how much of that time should be on an individual basis. Since Dr. Wallace did not testify, there was no evidence as to the basis for her recommendation. Ms. Haddad’s report did not specify any particular amount of hours for an ABA program. Since Ms. Haddad did not testify, there was no evidence as to the basis for her recommendation. Indeed, there was no evidence as to her qualifications to render any opinions regarding ABA therapy. Consequently, the opinions of Dr. Wallace or of Ms. Haddad on this issue are not persuasive. The difference in opinions between Dr. Bosch and Dr. Freeman also renders their opinions on this issue not persuasive. 17. Applying the “snapshot” rule, the level of one-to-one ABA services provided in the January 25, 2007, IEP were reasonable at the time that the IEP was developed. 18. Based upon Findings of Fact numbers 1 through 101, and 110 through 117, and Legal Conclusions numbers 1 though 13, the District did not deny Student a FAPE by reason of the amount of individualized ABA services contained in the January 25, 2007, IEP, and its March 20, 2007, amendment. 19. Student failed to meet her burden of demonstrating by a preponderance of the evidence that the amount of one-to-one ABA services provided in the IEP of June 1, 2007, IEP, denied Student a FAPE. 20. At the June 1, 2007, IEP meeting, Student’s teachers reported that Student was making substantial progress on the goals set forth in the January 25, 2007, IEP. Ms. Barrios’s report of April and May 2007 revealed that Student was making progress on her goals. She had improved various skills, such as matching, imitation, and basic conversation. Among other things, Student was learning to take turns and was beginning to play interactively with peers. Parents did not provide any specific information to the IEP team that contradicted the progress noted on the particular skills referred to in Ms. Barrios’s report, or the progress on the skills that the IEP team discussed during the June 1, 2007, IEP meeting. Student presented no evidence at hearing to contradict the reports of Student’s teachers at the IEP meeting that Student could perform the specific tasks required by the goals. 22. The IEP of June 1, 2007, offered one-to-one ABA services for 10 hours per week at Alameda, as well as a structured SDC of 17 hours per week at Rio Hondo, with an aide in the mornings, for the 2007-2008 school year. This represented a diminution in the number of one-to-one ABA hours Student had been receiving, because Student would be entering first grade at Rio Hondo during the 2007-2008 school year, and first graders spend more time in the classroom than do kindergarten students. The reduction in the level of services was a reasonable means of balancing Student’s need for ABA services and her needs as a first-grader to be in a classroom. District also offered Student ESY in a classroom setting for four hours a day, four days per week. This was not a one-to-one ABA program, but District also offered six hours per week of in-home ABA services from July 31, 2007 through August 23, 2007, and agreed that ABA sessions that Student missed could be made up during the summer. 23. At the time of the June 1, 2007, IEP meeting, Student did not present any specific evidence to the District that the level of individualized ABA services the District was providing was insufficient. At hearing, Student did not present any specific evidence that contradicted the IEP team’s conclusions that Student had made progress on, met, or exceeded her previous goals, or that Student could not perform the specific tasks required by the goals. In evaluating the significance of Student’s progress on her goals, it is noteworthy that the goals in each of Student’s relevant IEPs are more advanced than the goals in the previous annual IEP. Thus, the goals in the June 1, 2007 IEP were more advanced than the goals in the January 25, 2007, IEP. 24. Student’s experts criticized the amount of ABA services Student was receiving. However, as was discussed above, Student’s experts were unpersuasive on this issue. They disagreed among themselves as to the amount of individualized ABA services Student should receive, there was no foundation for Dr. Wallace’s opinion on this issue, and there was no evidence that Ms. Haddad was qualified to render an opinion on this issue. 25. Applying the “snapshot” rule, the level of one-to-one ABA services provided in the January 25, 2007, IEP was reasonable at the time that the IEP was developed. 26. Based upon Findings of Fact numbers 1 through 118, and Legal Conclusions numbers 1 through 13, the District did not deny Student a FAPE by reason of the amount of individualized ABA services contained in the June 1, 2007, IEP. 27. Student has met her burden of demonstrating by a preponderance of the evidence that the June 5, 2008, IEP, did not provide Student a FAPE. 28. Student’s present levels of performance and progress on the goals set forth in the June 1, 2007, IEP were discussed at the June 5, 2008, IEP meeting. The evidence showed that, at the time of the June 5, 2008, IEP, Student had met or exceeded six out of seven of the classroom goals, and had made substantial progress on the goal pertaining to yes/no. She had also acquired a variety of skills, including following simple one- and two-step directions in the classroom, the ability to read 75 high-frequency words, labeling and identifying numbers up to 20, and responding correctly when asked her name and age. She could name her teachers and some of the other students. She preferred using oral speech to a communications board. She was independent in most self-help areas, although she was not toilet-trained. She had met all of her language and communication goals. 29. Student was receiving ABA services during April and May 2008 from the NPA providers Autism Behavior Consultants, Inc., and from CUSP. However, there is no basis for supposing that Student’s progress on her goals as was reported at the June 5, 2008, IEP meeting was due to these services. No evidence was presented as to the skills that Autism Behavior Consultants, Inc., taught Student during the brief period in April 2008, when they were her providers. Nor was there any evidence as to the skills that Student mastered while receiving services from CUSP in May 2008. In fact, the first few weeks of CUSP’s services to Student did not consist of teaching Student, but, rather, were devoted to observing Student. That leaves only a minimum amount of time for CUSP to provide services to Student prior to the June 5, 2008 IEP, when Student’s progress on the goals in the IEP of June 1, 2007, was discussed. 30. Student had received an educational benefit from the services that the District had provided prior to the June 5, 2008, IEP, but she still had unique needs in the areas of academics, communication, socialization, social/emotional, self-help skills, and motor skills. Yet, the June 5, 2008, IEP did not offer one-to-one intensive ABA services to Student, as had been offered in the previous IEPs. The IEP merely offered a one-to-one aide who had had some ABA training, and consultation and training by the District ABA teacher. Even though Student had, by that time, sought one-to-one ABA services elsewhere, Student was still enrolled in the District, and was availing herself of the District’s SDC and related services. The June 5, 2008, IEP contains no explanation as to why the one-to-one ABA program services that Student had previously received were not offered. Dr. Bosch, Ms. Saydak, and Dr. Freeman credibly testified that Student required one-to-one ABA services. District offered no evidence that such services were not necessary. The weight of the evidence demonstrated that Student’s still required a minimum of 10 hours per week of one-to-one ABA services at this time. Accordingly, District was still required to offer such services. Based upon Factual Findings numbers 1 through 118, and Legal Conclusions numbers 1 through 13, the failure of the District to offer such services constituted a denial of a FAPE. Whether District staff was sufficiently qualified regarding ABA to address Student’s deficits as a child with autism, such that the IEPs of January 25, 2007, June 1, 2007, and June 5, 2008, provided Student a FAPE in the LRE. 31. Student contends that her teachers and aides in her SDC from January 25, 2007, and thereafter did not have appropriate credentials, and did not have sufficient ABA training, to appropriately render services to Student. Student further contends that Ms. Barrios, who provided her one-to-one ABA services, was not qualified to provide those services. 33. The issue of teacher qualifications and FAPE was recently addressed in the case of J.G. v. Douglas County School Dist. (9th Cir. 2008), No. 06-17380 __F3d. __. The court found that the central issue with respect to teacher qualifications is whether the staff had the qualifications to implement the IEP. 34. This IEP provided for one-to-one ABA services, and that Student would also attend an SDC. The IEP notes state that [Student] “currently receives a structured ABA based program (including one day of in-home service) for 25 hours per week from the District,” which indicates a structured SDC in which ABA principles are applied. This comment does not state that the SDC teacher will provide Student ABA therapy. 35. Similarly, the IEP notes to the March 1, 2007, addendum IEP state: “At the IEP dated 1-25-07 the written document indicated that [Student] participates in a structured classroom for 25 hours per week where ABA strategies are implemented to support her in her educational setting.” This notation also indicates a structured SDC in which ABA principles are applied. It does not represent an offer that the SDC teacher will provide Student ABA therapy. 36. Therefore, Ms. Dodson, Student’s SDC teacher during the 2006-2007 school year, was not required to be qualified to provide ABA therapy. Nevertheless, Ms. Dodson had received many hours of ABA training, and, during her testimony, she demonstrated familiarity with ABA principles. She also had many years of experience teaching children with autism, and she had the credentials to do so. She was capable of implementing Student’s IEP, and she did so. Student made progress on her IEP goals while in Ms. Dodson’s class. Furthermore, she and Ms. Barrios trained the classroom aides regarding ABA and implementing Student’s IEP. 37. Because Ms. Barrios was Student’s primary one-to-one, ABA teacher, she was required to have sufficient ABA training to implement Student’s ABA program. She has been utilizing ABA strategies in her teaching since 2002, she has had training and experience in ABA strategies periodically since 1998, and she is in the process of becoming a BCBA. Her testimony demonstrated her knowledge of ABA techniques and standards. Ms. Wallace, the only one of Student’s experts who observed Ms. Barrios working in her classroom and who reported on the observation, concluded that Ms. Barrios was providing sound, intensive ABA services. Dr. Bosch’s testimony was the only evidence that Ms. Barrios was not qualified, but his opinion was not based upon any well-established, documented standard for ABA providers. Furthermore, his opinion was contradicted by the fact that his company, CUSP, has been providing Student at-home ABA therapy from individuals who do not have college degrees and who are required to have no more than 280 hours of training. Dr. Bosch also criticized Ms. Barrios’ data collection, and she was not as fastidious about record keeping as would be optimal. However, as was demonstrated by Student’s progress on her ABA goals, Ms. Barrios obtained positive results despite her weakness in data collection. Moreover, while Dr. Bosch emphasized the importance of data collection, the CUSP Report does not contain any graph or chart to demonstrate CUSP’s own record-keeping practices. Accordingly, Ms. Barrios was sufficiently qualified to implement Student’s ABA program, and she did so. 38. Based upon Factual Findings numbers 1 through 118, and Legal Conclusions numbers 1, 5 through 13, and 31 through 33, District did not deny Student a FAPE on this ground with respect to the January 25, 2007 IEP. 39. This IEP called for Student to have a one-to-one ABA program. It offered placement in an SDC, and did not offer an SDC in which the teacher would provide Student ABA therapy. Therefore, there was no need for Student’s SDC teachers implementing this IEP, Ms. Chen and Ms. Roddy, to be qualified to provide ABA services. Ms. Roddy had received at least some ABA training, including as a classroom aide to Ms. Chen’s classroom, and Ms. Roddy’s testimony demonstrated familiarity with ABA principles. Student’s aide in Ms. Roddy’s class had also received some ABA training. Ms. Roddy and Ms. Chen were capable of implementing Student’s IEP, and they successfully did so. Student made progress on her IEP goals while in Ms. Chen’s and Ms. Roddy’s classes. 41. Further, as was discussed with respect to the January 25, 2007, IEP, Ms. Barrios was qualified to implement Student’s ABA program. Based upon Factual Findings numbers 1 through 113, and Legal Conclusions number 1, 5 through 12, and 31 through 33, District did not deny Student a FAPE on this ground with respect to the June 1, 2007, IEP. 42. This IEP offered placement in a structured SDC, services of a one-to-one aide who had had some training in ABA, and consultation and training by Ms. Barrios. This IEP did not specifically offer an SDC in which the teacher provided ABA therapy. Student’s SDC teacher implementing this IEP was Ms. Roddy and, as was discussed above, she was capable of implementing Student’s IEP. Classroom aides were trained. Ms. Barrios was to provide the ABA consultation and training services offered in the IEP, and, as discussed above, she was capable of doing so. Based upon Factual Findings numbers 1 through 118, and Legal Conclusions numbers 1, 5 through 13, and 31 through 33, District did not deny Student a FAPE on this ground with respect to the June 5, 2008, IEP. Whether the IEP of January 25, 2007, the IEP of June 1, 2007, and the IEP of June 5, 2008, provided Student a FAPE in the LRE, in that the IEPs provided enough ABA therapy so as to be scientifically based and, to the extent practicable, based upon peer-reviewed research. 43. Student contends that the District’s ABA program was not scientifically based or based upon peer-reviewed research because the services provided were deficient in both quantity and quality. 46. Student presented no evidence that the amount of ABA therapy that the January 25, 2007, IEP and the June 1, 2007, IEP provided to Student was contrary to any scientifically based, peer-reviewed research, such that Student was denied a FAPE. As was set forth above, Student made substantial progress on her goals with respect to these IEPs. Dr. Wallace, who was the only individual retained by Student to assess her who actually observed Student in Ms. Barrios’s classroom, specifically reported that the time Student spent in Ms. Barrios’s ABA program constituted intensive ABA programming. Dr. Wallace’s report also approved of the techniques Ms. Barrios used. Dr. Wallace only specifically criticized Ms. Barrios for not being a BCBA. There was no evidence, however, that an ABA program is only scientifically based and peer-reviewed if it is supervised by a BCBA. Additionally, in view of the inability of Student’s experts to agree upon the amount of ABA services Student was to receive, and how they were to be delivered, Student has not established that there is actually any authoritative standard governing these matters, especially as they relate to the standard for providing a FAPE. Based upon Findings of Fact numbers 1 through 101, and 110 through 118, and Legal Conclusions numbers 1, 5 through 13, and 43 through 45, District did not deny Student a FAPE on this ground, with respect to the January 25, 2007, and June 1, 2007, IEP. 47. This issue does not appear to apply to Student’s June 5, 2008, IEP, since that IEP did not offer Student any amount of ABA therapy. Therefore, the District offered no ABA program to Student. If Student intended this contention to apply to the consultation services by the District ABA teacher that were offered in the June 5, 2008, IEP, but which were never provided, there was no evidence that the methodology that would have been attached to those services would have been deficient in any respect. Therefore, based upon Findings of Fact numbers 1 through 118, and Legal Conclusions number 1, 5 through 13, and 43 through 45, the District did not deny Student a FAPE on this ground with respect to the June 5, 2008, IEP. Whether the IEPs of January 25, 2007, June 1, 2007, and June 5, 2008, provided a FAPE in the LRE by containing goals that were appropriate and measurable. 48. Student’s contentions with respect to the goals in the IEPs in question vary somewhat from each other, depending upon the IEP. Student contends that the January 25, 2007, IEP did not include goals to address Student’s deficits in attention, off-task behaviors, and socialization needs. Further, goals were not developed to be addressed by the District’s ABA staff. Student contends that the June 1, 2007, IEP did not include goals that addressed Student’s inattention and off-task behaviors, the goals were not properly measurable, since they were measured by observation only, and goals were not developed to be addressed by the District’s ABA staff. Student contends that the June 5, 2008, IEP did not include goals to address Student’s inattention and off-task behaviors, and that the goals were not properly measurable, because they were measured by observation only. 50. The January 25, 2007, IEP, did not contain any goals that were specified to be addressed by the ABA staff. However, Student’s contention that the goals were defective because the ABA staff was not required to address them is not meritorious. The IDEA does not require that there be separate goals for a related service such as the one-to-one ABA service, as long as the related service is being provided to address an area of need for which a goal is included in the IEP. The goals in Student’s January 25, 2007, IEP included several goals in areas of need for which the ABA services were provided, such as Communication, Self-Help, Social/Emotional, and Pre-Academic/Academic. 51. Additionally, although it was not specified in the IEP, the evidence was uncontradicted that the ABA staff as well as the SDC teacher were responsible for working on the goals in the IEP. Further, at the January 25, 2007, IEP meeting, Ms. Barrios discussed the ABA goals that she was working on. 52. In any event, there was no evidence that the failure of the IEP to specify that ABA staff would be working on certain goals, or that the failure of the IEP to include Ms. Barrios’s ABA goals, impeded Student’s right to a FAPE, deprived her of an educational opportunity, or deprived Parents of the opportunity to participate in the formulation of Student’s IEP. Parents were present and participated at every IEP meeting. Whenever, at all times relevant to this matter, Parents requested an IEP meeting, the District convened one. Under these circumstances, there was no denial of a FAPE by the failure of the IEP to specify that the ABA staff would be responsible for addressing goals. 53. Contrary to Student’s contention, the January 25, 2007, IEP contained socialization goals, which involved Student interacting with peers and learning their names. However, the January 25, 2007, IEP did not provide a FAPE because it did not include appropriate goals to address Student’s areas of need. At the time of the IEP meeting, the District was aware that Student engaged in self-stimulatory behaviors, and that she had difficulty attending. These behaviors affected her ability to learn. Yet, the January 25, 2007, IEP contained no goals to address these deficits. Indeed, it contained no behavioral goals at all. This is a major flaw in Student’s educational program. Dr. Freeman credibly testified, consistent with her report, that Student required behavioral goals in this IEP to address such issues as Student’s failure to attend and her self-stimulatory behaviors, so that Student could develop the learning readiness skills she needed to benefit from her education. Furthermore, the inclusion of behavioral goals in the IEP would promote the seamlessness of Student’s program by making all of her providers aware of Student’s maladaptive behaviors and set them to work on reducing them. Dr. Freeman, and other of Student’s experts, valued a seamless program, and criticized the District for not providing one. 54. Based upon Findings of Fact numbers 1 through 18, 74 through 78, and 86 through 101, and Legal Conclusions numbers 1, 5 through 13, and 48 through 49, the failure of the IEP team to set appropriate goals to address behavioral areas of need constitutes a denial of a FAPE. 55. The June 1, 2007, IEP, contained measurable goals. All of the goals except one specified that they were to be measured by either teacher-made tests, observation or data notes. Student presented no evidence that the goals which specified a means of measurement were not measured properly, or that the progress that was reported on any of the goals was inaccurate. 56. As to the single goal (a goal pertaining to picture sequencing) that did not specify a means of measurement, Student did not demonstrate by a preponderance of the evidence that the failure to include a means of measurement impeded Student’s right to a FAPE, or deprive her of an educational opportunity, or deprived Student’s parents of the opportunity to participate in the development of the IEP. Parents were present and participated at every IEP meeting. Whenever, at all times relevant to this matter, Parents requested an IEP meeting, the District convened one. 57. As was discussed above, Student’s contention that the goals were defective because the ABA staff was not required to address them is not meritorious. The IDEA does not require that there be separate goals for a related service such as the one-to-one ABA services, as long as the related service is being provided to address an area of need for which a goal is included in the IEP. The goals in Student’s June 1, 2007, IEP included several goals in areas of need for which the ABA services were provided, such as Communication, Self-Help, Social/Emotional, and Pre-Academic/Academic. 58. Further, as was discussed above, there was no evidence that the failure of the IEP to specify that ABA staff would be working on certain goals, or that the failure of the IEP to include Ms. Barrios’s ABA goals, impeded Student’s right to a FAPE, or deprived her of an educational opportunity, or deprived Parents of the opportunity to participate in the formulation of Student’s IEP. Parents were present and participated at every IEP meeting. Whenever, at all times relevant to this matter, Parents requested an IEP meeting, the District convened one. Under these circumstances, there was no denial of a FAPE by the failure of the IEP to specify that the ABA staff would be responsible for addressing goals. 59. As was discussed above with respect to the January 25, 2007, IEP, however, the June 1, 2007, IEP did not provide a FAPE because it did not include appropriate goals to address Student’s areas of need. At the time of the IEP, the District was aware that Student engaged in self-stimulatory behaviors, and that she had difficulty attending. These behaviors affected her ability to learn. However, the June 1, 2007, IEP contained no goals to address these deficits. Indeed, it contained no behavioral goals at all. 60. Ms. Barrios stated at the IEP meeting that Student’s self-stimulatory behaviors had been reduced, but they had not disappeared. In her report of the assessment she performed in April and May 2007, Ms. Barrios expressed concern about a recent increase in those behaviors at school. Further, Student still had problems attending, as was noted in the District’ assessment report dated May 29, 2007. For the reasons stated above with respect to Student’s January 25, 2007, IEP, the failure of the June 1, 2007, IEP to include behavioral goals in this IEP to address such issues as Student’s failure to attend and her self-stimulatory behaviors, so that Student could develop the learning readiness skills she needed to benefit from her education, was a major flaw in the District’s program. Under these circumstances, and based upon Findings of Fact numbers 1 through 54, 74 through 83, 86 through 109, and 110 through 118, and Legal Conclusions numbers 1, 5 through 13, and 48 through 49, the IEP of June 1, 2007, did not provide Student a FAPE. 61. Turning to the June 5, 2008, IEP, the IEP goals were measurable, and the IEP specified how they were to be measured, whether by work samples, observation, or data collection. Student presented no evidence that Student’s progress on the goals was not accurately measured, or that the progress that was reported on any of the goals was not accurate. 62. However, as was found with the IEPs discussed above, and based upon Factual Findings numbers 1 through 118, and Legal Conclusions numbers 1, 5 through 13, and 48 through 49, the June 5, 2008, IEP did not provide a FAPE. The IEP goals did not address all of Student’s areas of need. At the time of the IEP, the District was aware that Student engaged in self-stimulatory behaviors, and that she had difficulty attending. These behaviors were noted in the IEE reports of Ms. Haddad, Dr. Wallace, and Dr. Freeman, all of which had been presented to the District at the time of the June 5, 2008, IEP meeting. District offered no evidence that, at the time of this IEP, these behaviors no longer existed, or existed at such a low level that these behaviors were not affecting Student’s ability to learn. However, the June 5, 2008, IEP contained no goals to address these deficits. Indeed, it contained no behavioral goals at all. For the reasons set forth above with respect to the previous IEPs, Student required behavioral goals in this IEP to address such issues as Student’s attention and self-stimulatory behaviors, so that Student could develop the learning readiness skills she needed to benefit from her education. Under these circumstances, the IEP of June 5, 2008, did not provide Student a FAPE. Whether the IEP of January 25, 2007, the IEP of June 1, 2007, and the IEP of June 5, 2008, provided Student a FAPE in the LRE, in that they did not include appropriate LAS therapy. 63. Student contends that her language skills have always been, and continue to be, severely delayed. Student contends that, until the February 12, 2008, IEP, District did not provide an appropriate amount of individual LAS services, and that whatever progress she made on her LAS goals in the IEPs of June 1, 2007, and June 5, 2008, was attributable to the additional two hours per week of individual therapy that the NPA More Than Words had been providing in a clinic setting since November or December 2007. 64. Autism is a condition marked by communication and social skills deficits, and the parties did not dispute that Student required LAS services. Student’s pre-school LAS assessment had revealed that her language skills were severely delayed, except for her articulation skills. The LAS goals and services formulated by the IEP team at the January 25, 2007, IEP meeting were based upon an evaluation of Student’s present levels of performance, and reports of Student’s teachers and SLP as to Student’s skills and progress up to the time of the IEP. The January 25, 2007, IEP provided that Student would receive a total of four 15-minute sessions of LAS services per week, without specifying whether they were to be individual or group services, until March 31, 2007. There was no evidence that these services were to be provided individually. Then, from April 1, 2007, the IEP provided that Student was to receive four 20-minute sessions per week of LAS services, in a small group. 65. The January 25, 2007, IEP did not deny Student a FAPE with respect to the level of LAS services. Parents approved of the services, and provided no specific information to the IEP team that the services were inadequate. 66. Student contended that she required more services, and Ms. Kastigar testified that Student required individual LAS therapy, because Student’s self-stimulating behaviors were not conducive to group therapy. However, Ms. Kastigar’s testimony on this point is not persuasive. Neither Ms. Kastigar, nor her NPA, More Than Words, was involved with Student at the time of this IEP, and therefore there is no foundation for her opinion on the effect of Student’s self-stimulatory behaviors on her LAS therapy at that time. Student presented no evidence that, as of the time of the January 25, 2007, IEP meeting, the level of LAS services that the IEP team agreed upon was not reasonable. 68. The LAS goals and services formulated by the IEP team at the January 25, 2007, IEP meeting were based upon an evaluation of Student’s present levels of performance, and reports of Student’s teachers and SLP as to Student’s skills and progress up to the time of the IEP. Ms. Duval, Student’s SLP, reported that Student was making progress on her LAS goals as set forth in the January 25, 2007 IEP. Student was typically using words to communicate, and relying less on her communication book. She greeted classroom staff, and was beginning to learn the names of her peers. She made verbal requests, she could follow certain directions, and she could name target nouns on a test. Student still had difficulty asking questions and answering “what” or “where” questions, but, overall, Student demonstrated progress on her goals. 69. The June 1, 2007, IEP provided that Student would receive a total of 50 minutes per week of individual therapy, and 50 minutes per week of small group therapy. The District’s assessment, performed in April and May 2007, revealed that Student’s receptive, expressive, and pragmatic language skilled were delayed. At hearing, Ms. Kastigar asserted that this IEP did not provide Student a sufficient amount of individual therapy. However, Student presented no evidence that, as of the time of the June 1, 2007, IEP meeting, the level of LAS services that the IEP team agreed upon was not reasonable. 70. Applying the “snapshot” rule, and based upon Findings of Fact numbers 1 through 73, 79 through 85, and 102 through 109, and Legal Conclusions numbers 1 and 5 through 13, and 63, the level of LAS services provided in the June 1, 2007, IEP were reasonable at the time that the IEP was developed. District did not deny Student a FAPE. 71. The IEP team increased Student’s LAS services at the February 12, 2008, addendum IEP meeting, and the increased level of services was maintained by the IEP team at the June 5, 2008, IEP meeting. Therefore, the February 12, 2008, IEP meeting is relevant. The team considered Ms. Haddad’s assessment, performed in November 2007, and reviewed Student’s present levels of performance on her communication and language goals. Ms. King, Student’s SLP, stated that Student was making progress on her goals set forth in the June 1, 2007 IEP. Student was continuing to use words instead of her PECS system, she was able to request breaks, and she understood simple two-step directions. Ms. Barrios reported that Student was initiating interaction with peers, and using sentence stems. 72. At the June 5, 2008, IEP meeting, the team again reviewed Student’s present levels of performance on her communication and language goals. Ms. King, the SLP reported that Student had made significant progress. Student preferred to use oral language instead of her communication book, and had met all five of her language and communication goals. 73. There is an issue as to how much of Student’s progress on her goals could be attributed to the two hours per week of LAS services that Student was receiving from More Than Words as of November and December, 2007. There is insufficient evidence to determine this issue. Ms. Carney, Student’s SLP at More Than Words, had reported to Ms. Kastigar that Student’s speech had improved, but Ms. Kastigar did not know when such improvement began. Student has not met her burden to prove by a preponderance of the evidence the degree to which the progress Student made on her goals subsequent to the June 1, 2007, IEP meeting was not attributable to the District’s program. 74. Student’s expert, Ms. Kastigar, testified that the amount of LAS services that the IEP team decided upon at the February 12, 2008, addendum IEP meeting, consisting of 50 minutes per week of individual school-based therapy, 50 minutes per week of school-based small group therapy, and one hour per week of NPA therapy was sufficient. The same level of services was offered in the June 5, 2008, IEP, and District is providing those services. Consequently, based upon Findings of Fact 1 through 73, and 79 through 109, and Legal Conclusions 1, and 5 through 13, and 63, District has provided Student a FAPE with respect to the level of LAS services in the June 5, 2008, IEP. 75. Student seeks remedies in the form of 40 hours per week of individual ABA therapy provided at school and at home by an NPA such as CUSP, on a year-round basis, with all associated supervision and clinic meeting attendance, as well as reimbursement for CUSP therapy provided thus far, and compensatory ABA therapy. Student seeks reimbursement for More Than Words services, as well as compensatory LAS services. 78. Under the Burlington analysis, and the IDEA, Student is entitled to reimbursement for the costs of CUSP, if the District denied a FAPE, if the NPA services were appropriate, and if there are no statutory or equitable reasons to deny or diminish the reimbursement. As was discussed above, District denied Student a FAPE by reason of the failure to include behavioral goals in the IEPs of January 25, 2007, June 1, 2007, and June 5, 2008. Further, as was also discussed above, District denied Student a FAPE, by failing to provide one-to-one ABA services in the June 5, 2008, IEP. However, Student did not demonstrate that Student requires a 40 hour per week, largely in home, one-to-one ABA program with an assortment of therapists in order to receive a FAPE. Student’s experts did not agree upon the number of hours Student should receive individualized ABA services, and how those services should be delivered. The evidence demonstrated that Student made progress on her goals with 10 hours of individual ABA services. Furthermore, Student did not demonstrate that the largely in-home CUSP program provided a FAPE in the LRE. Prior to receiving CUSP services, Student had made progress in an SDC. 79. Accordingly, as a remedy for the denial of a FAPE based upon the failure to provide individual ABA therapy in the June 5, 2008, IEP, Student shall be entitled to 10 hours per week of individual ABA therapy through the end of the 2008-2009 school year and ESY. In addition, as a compensatory remedy for the denial of a FAPE based on the failure of the subject IEPs to have adequate behavior goals, Student shall be entitled to an additional 20 hours per week of individual ABA therapy through the end of the 2008-2009 school year and ESY. The combined 30 hours per week of individual ABA therapy services shall be delivered in Student’s SDC class by a one-to-one ABA-trained classroom aide, who shall be provided by CUSP or another certified California NPA of Student’s choice. 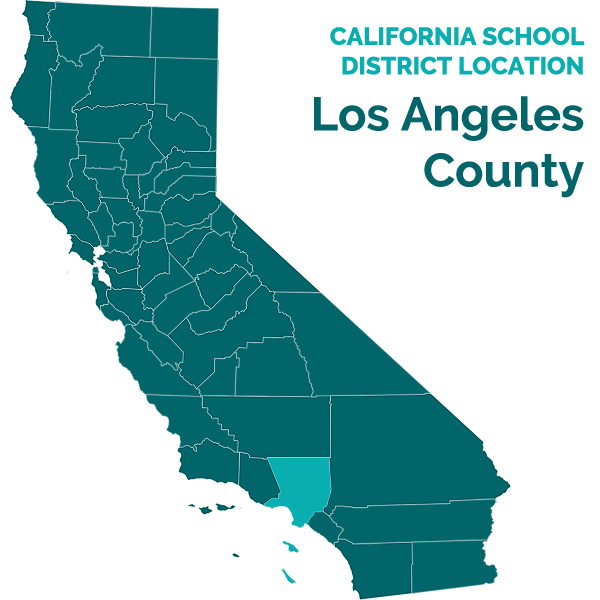 District shall also provide eight hours per month of supervision by CUSP, or another certified California NPA provider of Student’s choice, through the end of the 2008-2009 school year and ESY. Further, because Student’s IEPs did not include behavior goals, the District shall fund a behavior analysis by CUSP or by another certified California NPA of Student’s choice, to determine the appropriate ABA goals to support Student in the classroom. This remedy promotes the progam seamlessness that Student’s experts, in particular Dr. Freeman, deemed important. 80. Student is not awarded reimbursement for the ABA services Student received from Autism Behavior Consultants, Inc. in April 2008, and from CUSP in May 2008 and prior to the June 5, 2008, IEP meeting. Student did not give statutory notice that she would be seeking ABA services from NPA providers during that time, and therefore, under Burlington and the IDEA, reimbursement for these services may be denied. Furthermore, no witness from Autism Behavior Consultants, Inc., testified as to the services it provided, the need for such services, and its qualifications to provide such services. Student also did not provide clear evidence as to the type of services CUSP provided prior to June 5, 2008. For example, the evidence revealed that CUSP merely observed Student and did not provide services for approximately two weeks in May 2008. 81. Student is entitled to reimbursement for the costs of ABA therapy from CUSP, from June 5, 2008, through the date of this Decision, in the amount of 10 hours per week, due to the failure of the District to provide ABA services in the June 5, 2008, IEP. Ten hours per week represents the amount of one-to-one ABA therapy that Student had previously been receiving from the District, which was sufficient to provide her a FAPE. Student is not entitled to reimbursement in the full amount of services CUSP provided, because Student gave no statutory 10-day notice to the District that she would be gradually “fading” from the District’s ABA program, and eventually would withdraw from it completely. . .
1. District to provide one-to-one ABA-trained classroom aide from CUSP, or from another certified California NPA of Student’s choice, for 30 hours per week, commencing on the date of this Decision and continuing until the end of the 2008-2009 school year, including 2009 ESY. Twenty hours of the 30 weekly hours are compensatory, and those 20 hours will terminate at the conclusion of the 2009 ESY period. 2. District to pay for a behavioral analysis, to be performed by CUSP or another certified California NPA of Student’s choice, to determine the appropriate behavioral ABA goals and services Student requires. After the behavioral analysis is completed, District is to convene an IEP within ten (10) days of receipt of the report of the behavioral analysis to discuss the results of the behavioral analysis and to formulate goals and services in conformity with the behavioral analysis. 3. District to provide up to eight hours per month of supervision of the ABA-trained aide, by a qualified behavior analyst employed by CUSP or by another certified California NPA of Student’s choice, commencing on the date of this Decision and continuing until the end of the 2008-2009 school year, including 2009 ESY. 4. District to reimburse Parents for the cost of 10 hours per week of ABA therapy provided by CUSP from June 5, 2008, through the date of this Decision. Education Code section 56507, subdivision (d), requires that this Decision indicate the extent to which each party prevailed on each issue heard and decided in this due process matter. Student prevailed on a portion of issues 1D and 2D, 3A, and a portion of 3D. District prevailed on issues 1A, 1B, 1C, a portion of 1D, 1E, 2A, 2B, 2C, a portion of 2D, and 3B, 3C, a portion of 3D, and 3E.